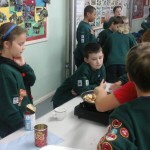 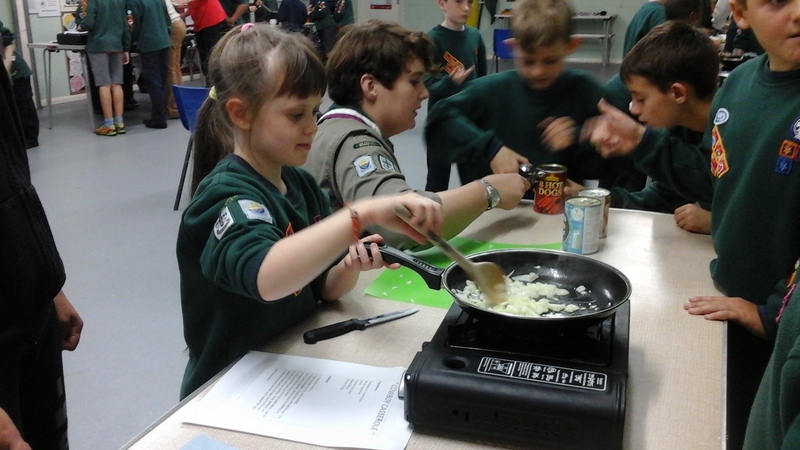 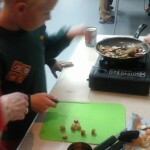 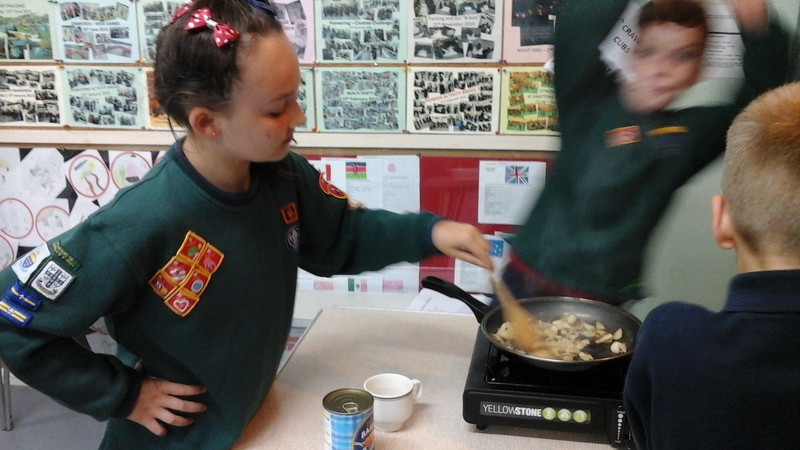 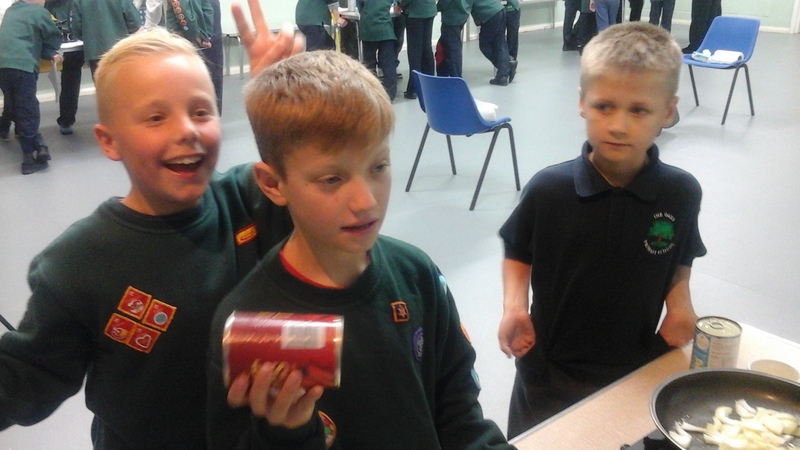 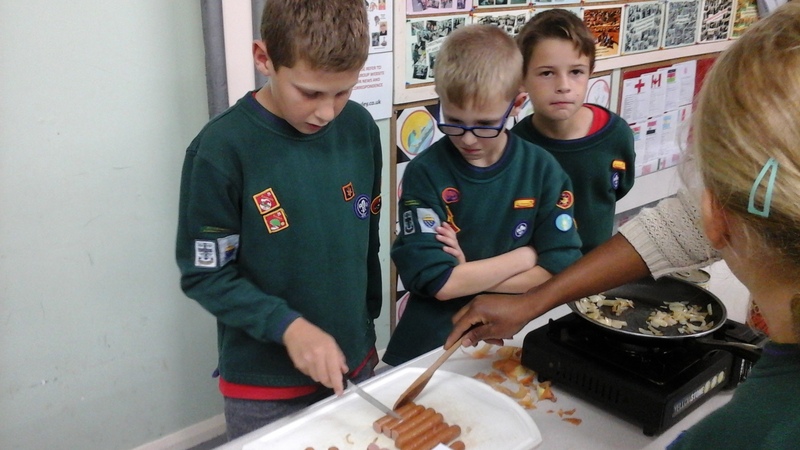 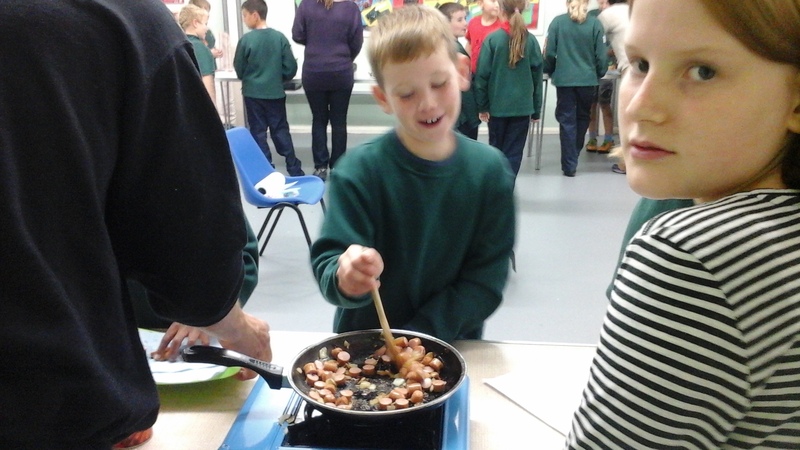 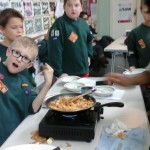 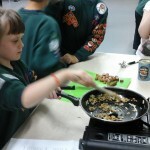 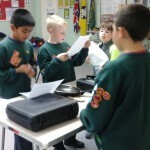 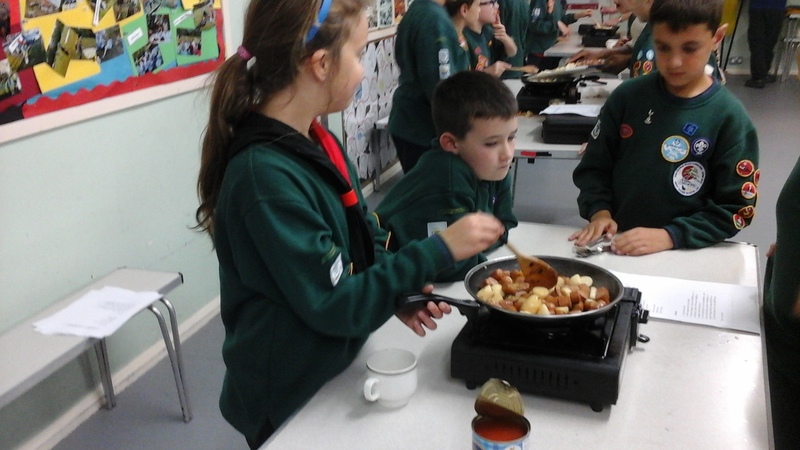 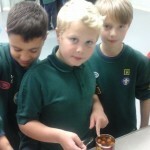 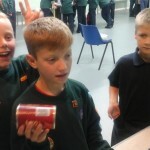 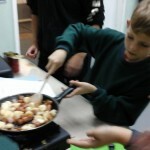 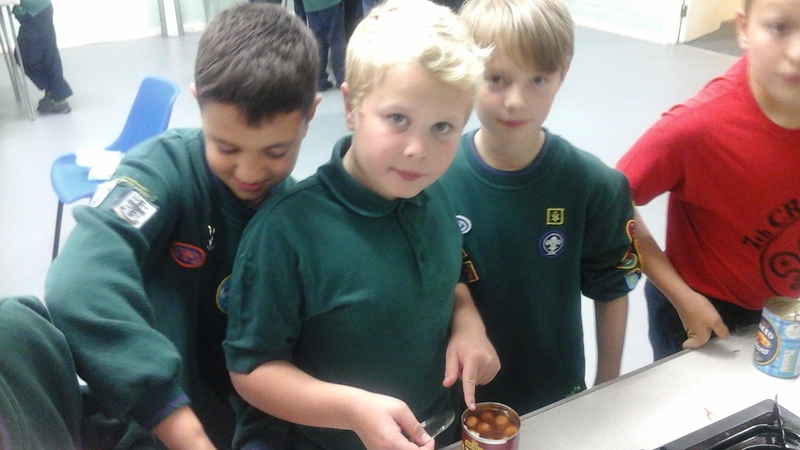 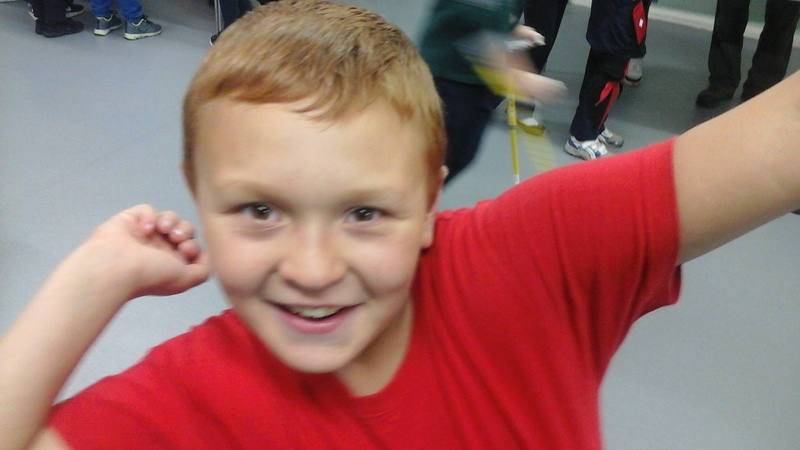 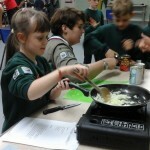 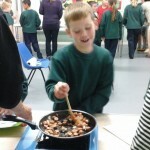 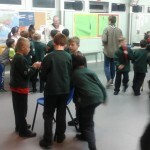 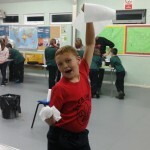 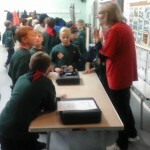 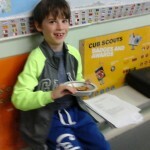 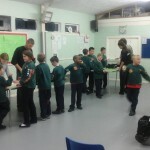 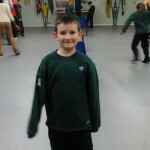 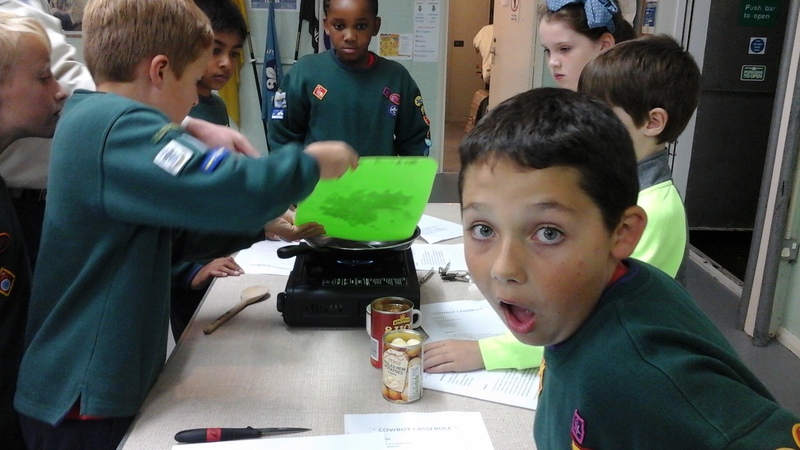 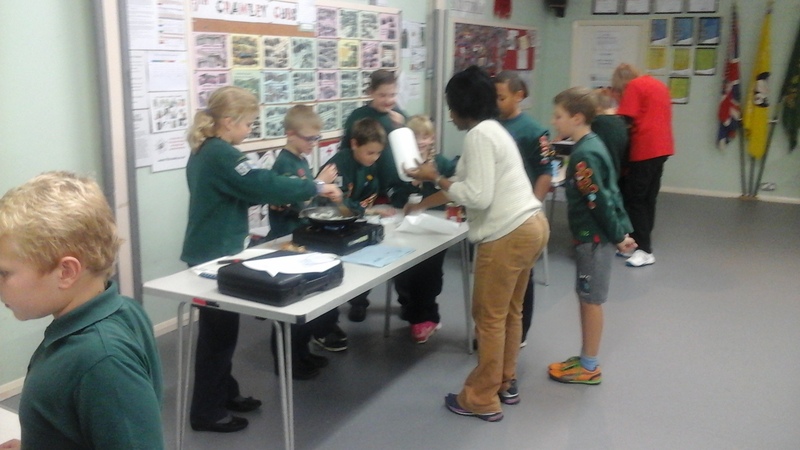 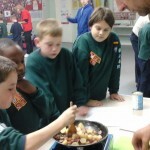 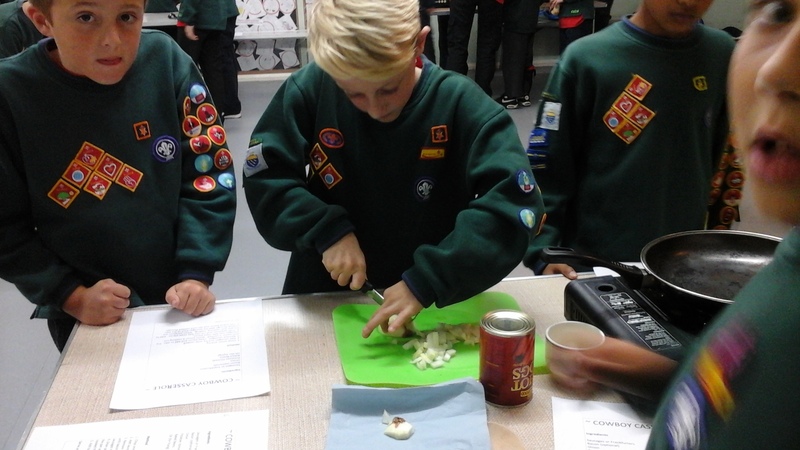 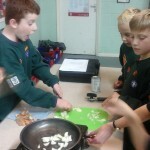 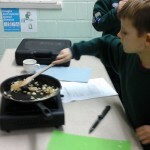 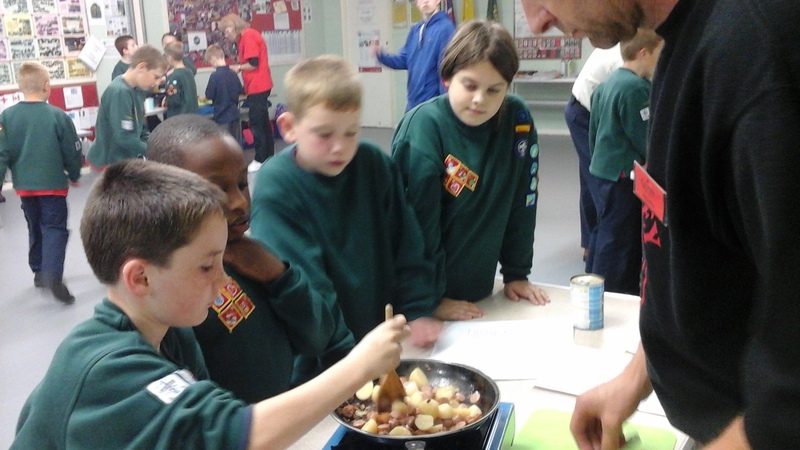 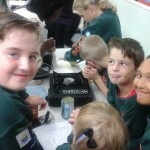 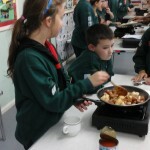 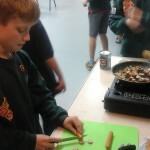 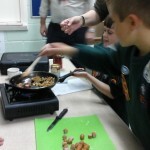 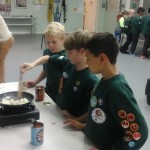 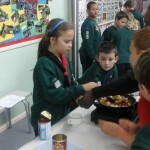 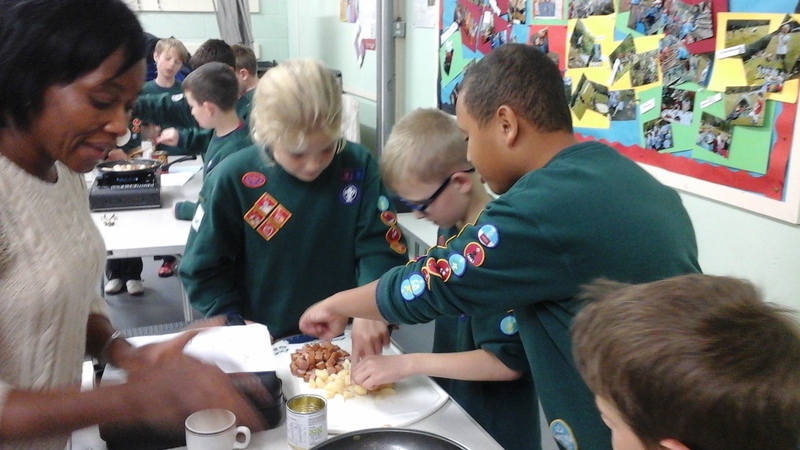 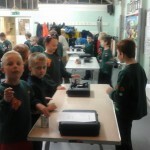 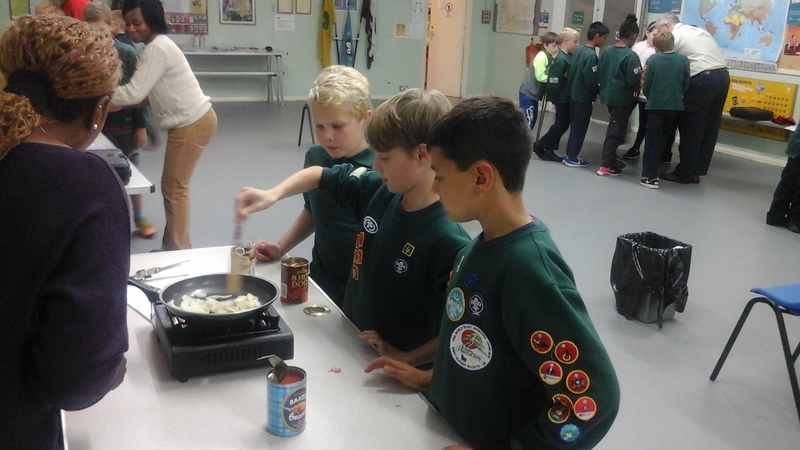 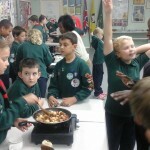 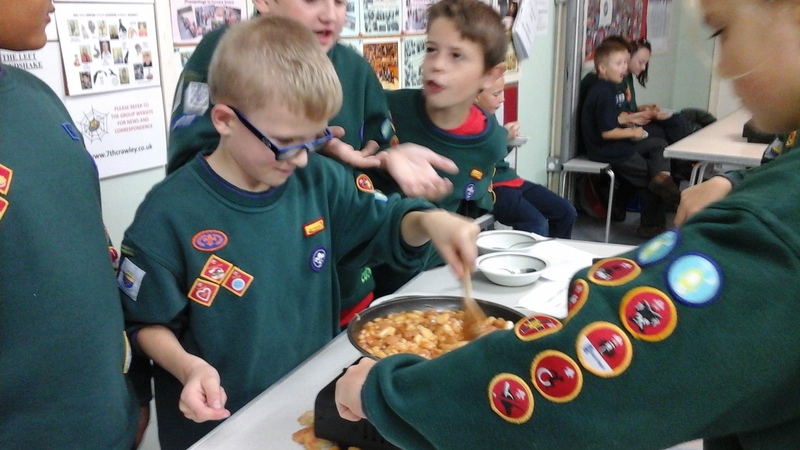 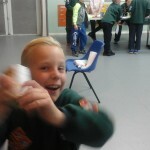 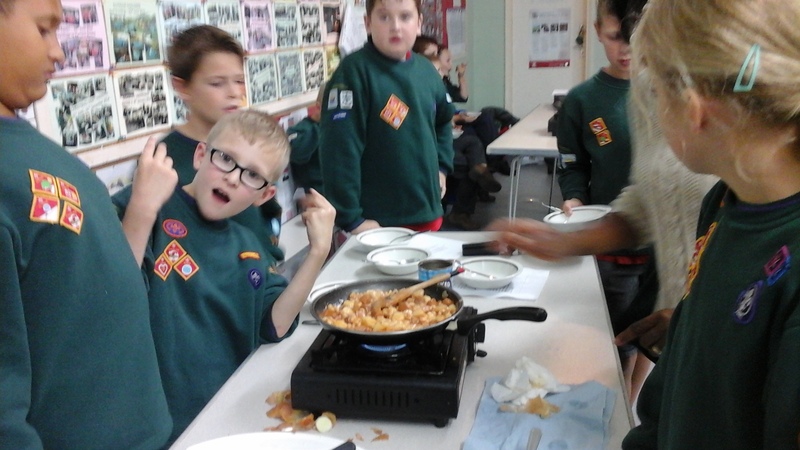 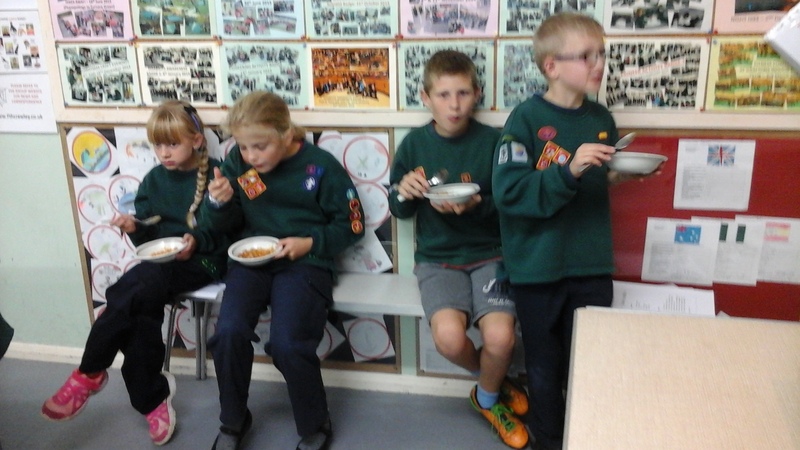 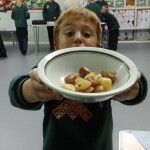 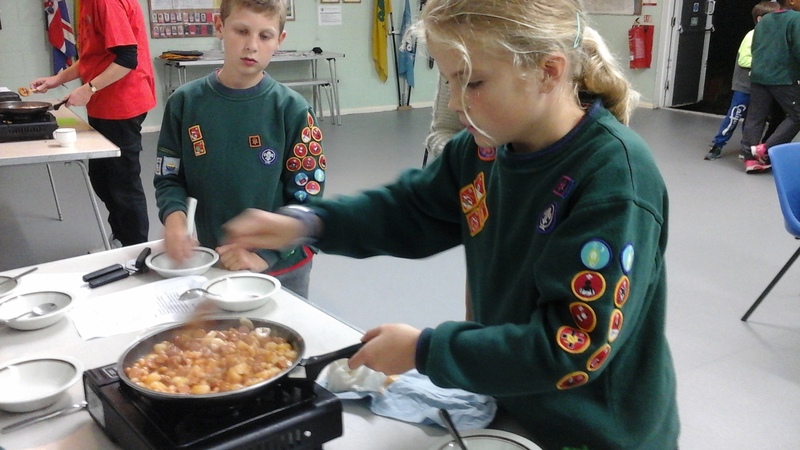 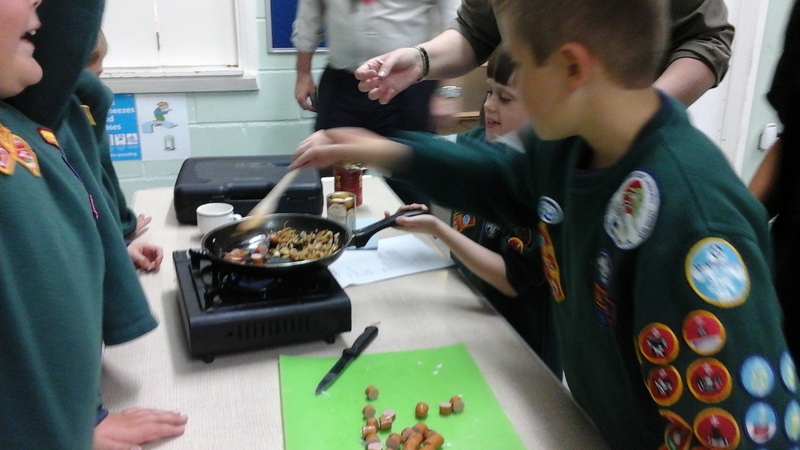 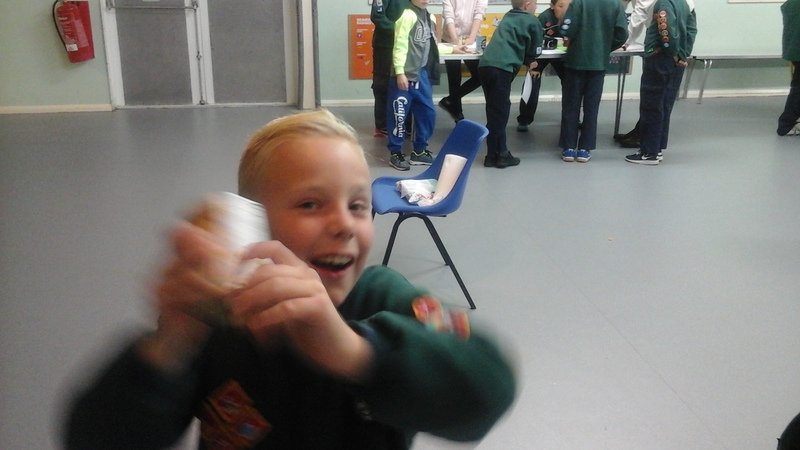 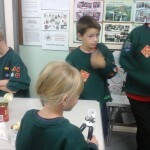 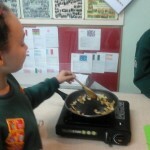 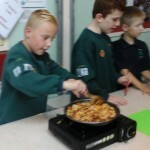 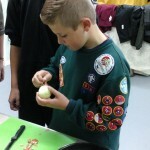 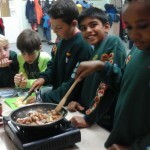 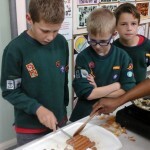 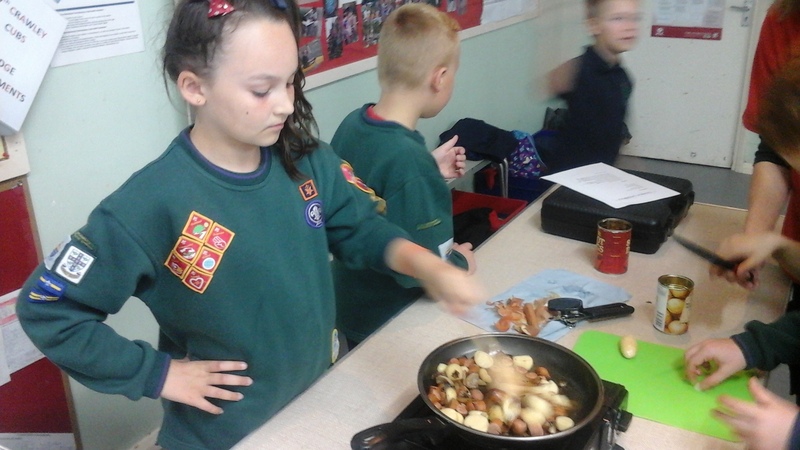 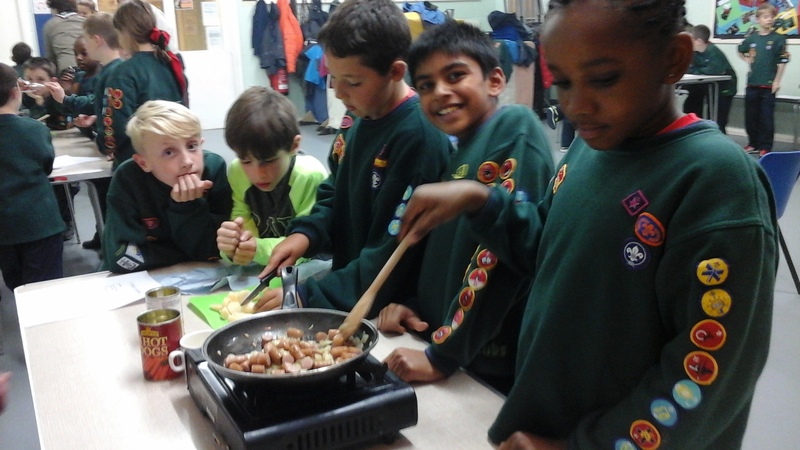 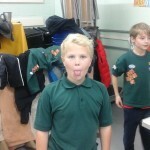 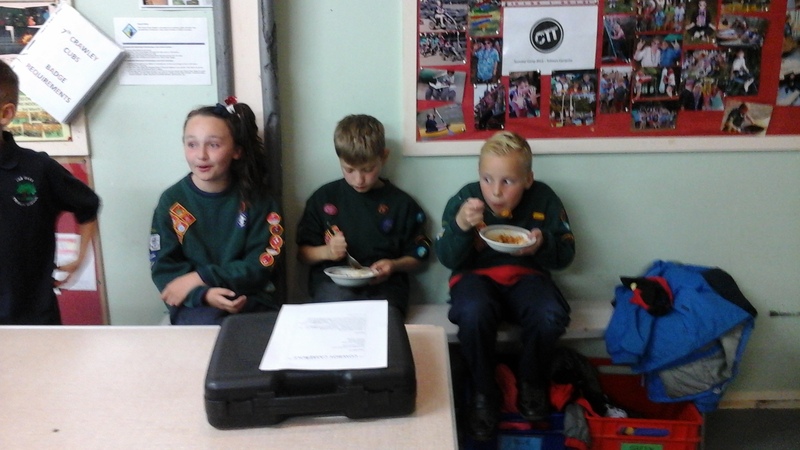 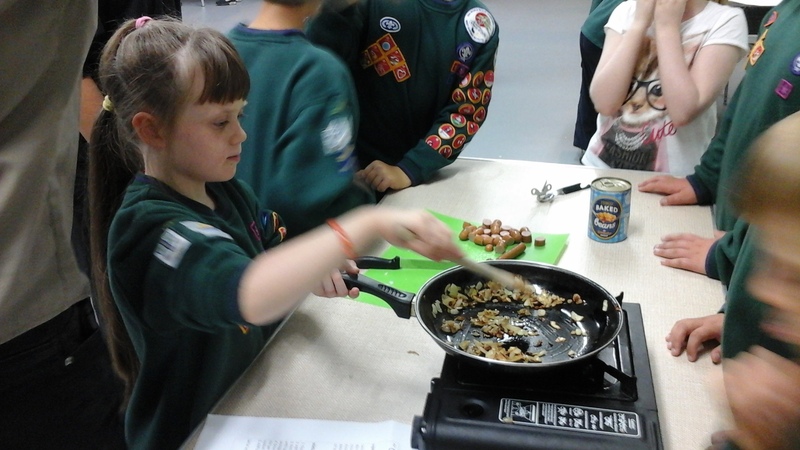 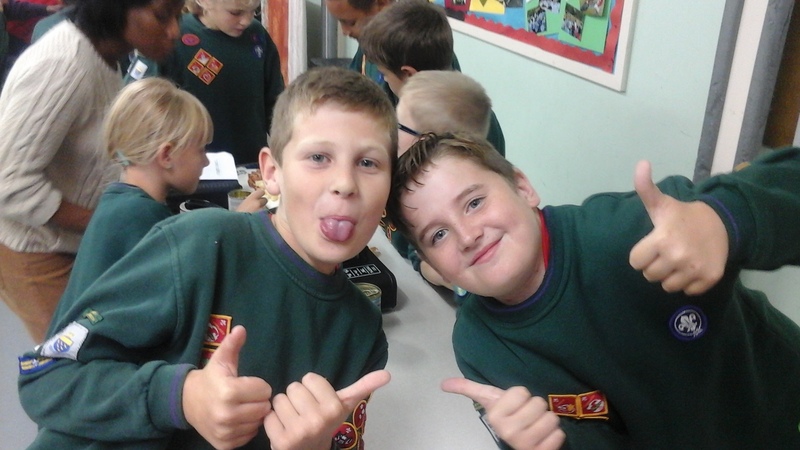 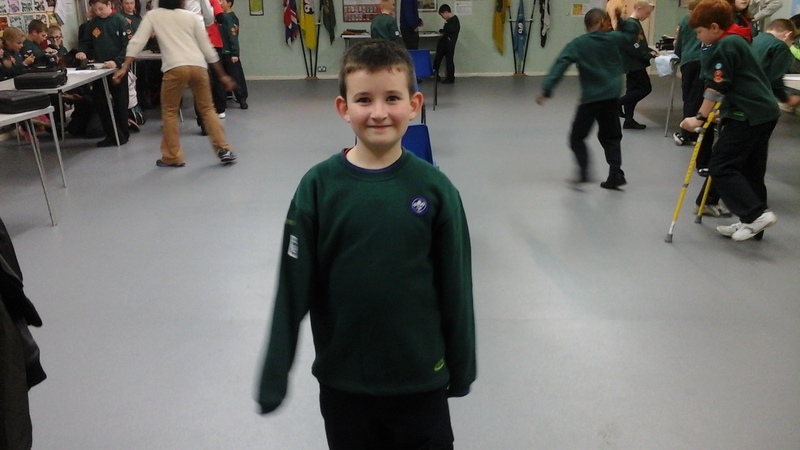 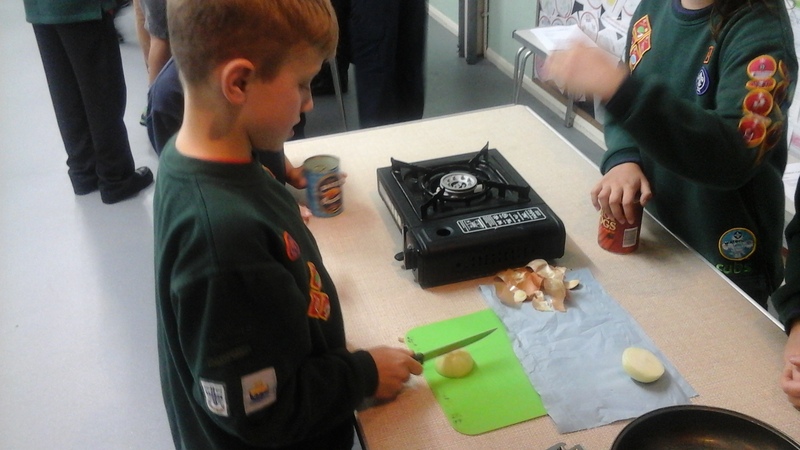 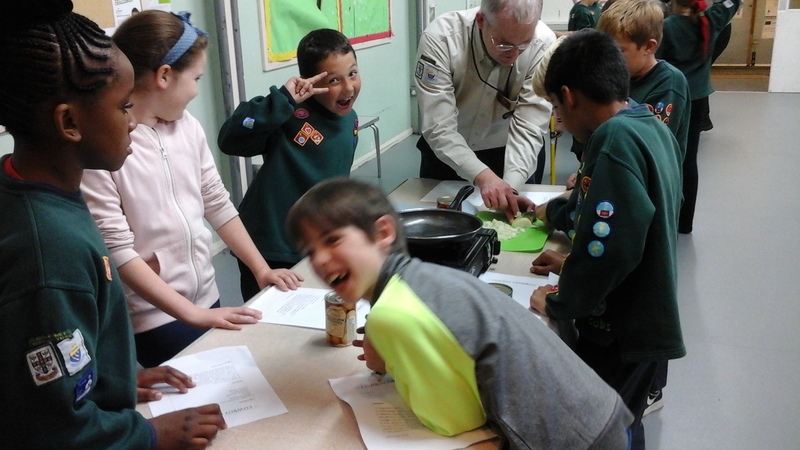 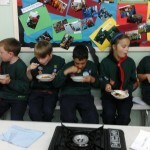 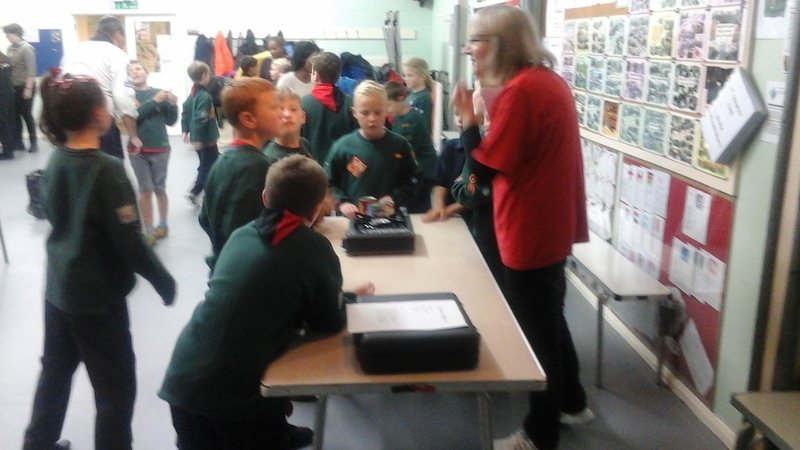 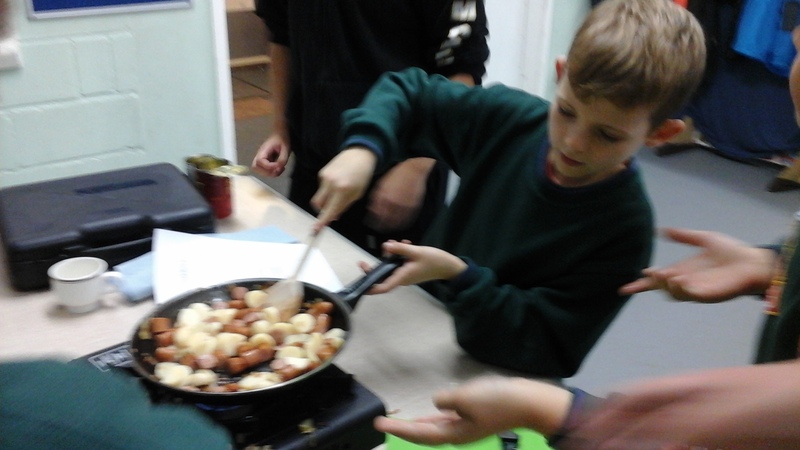 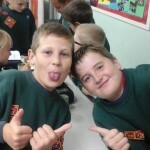 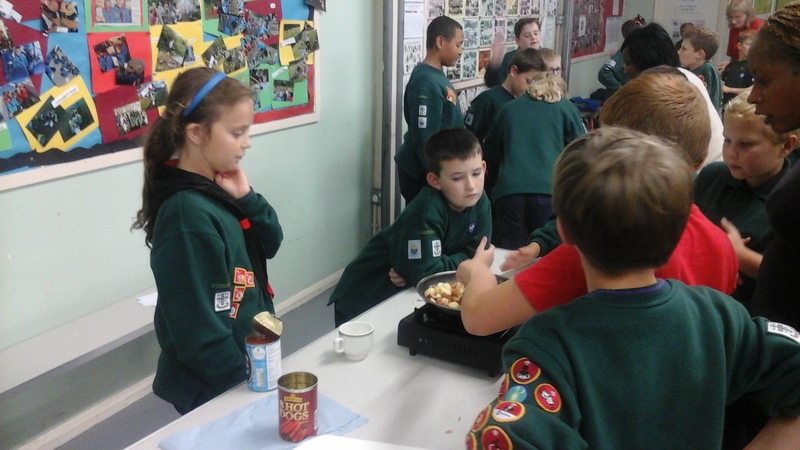 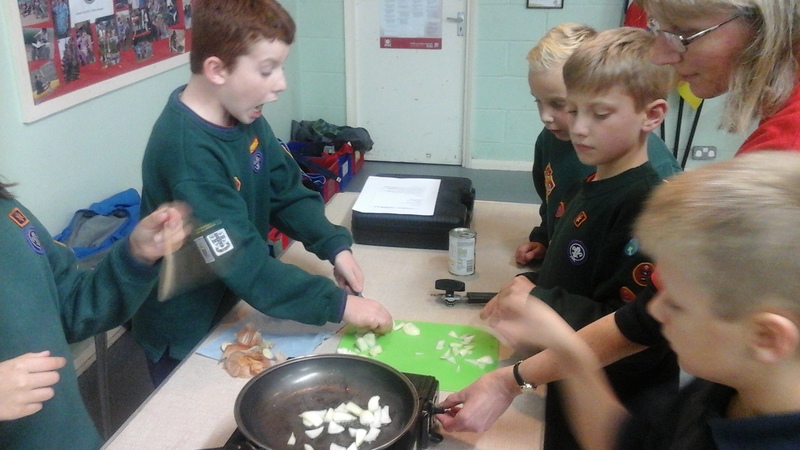 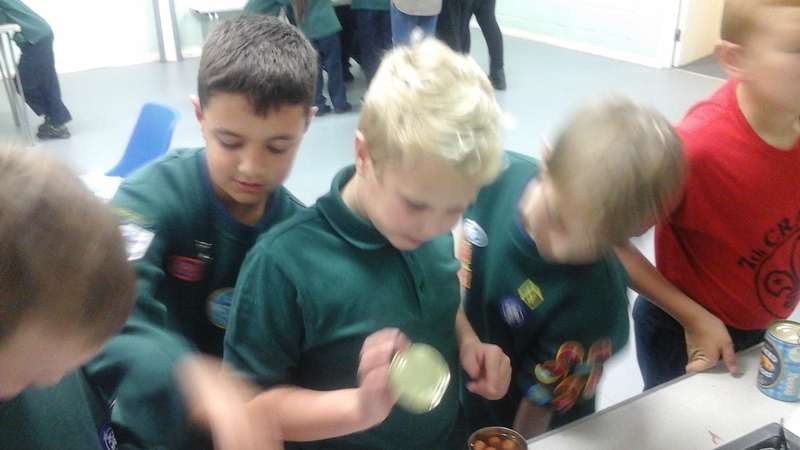 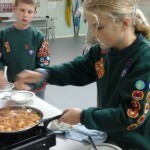 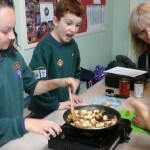 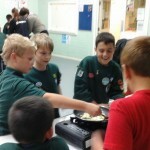 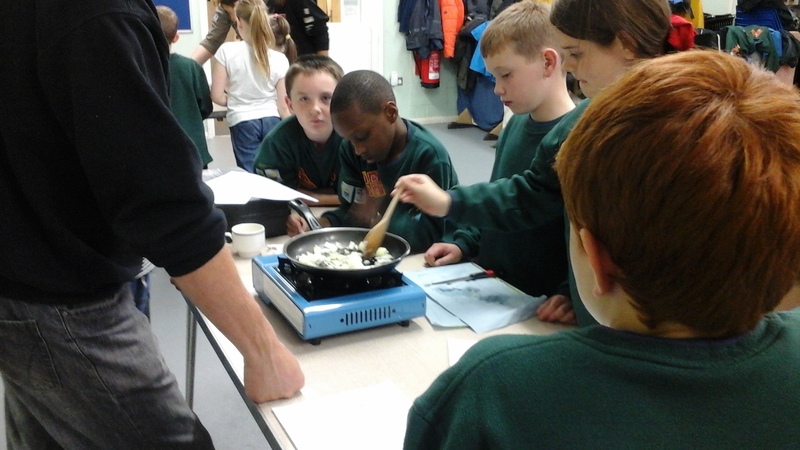 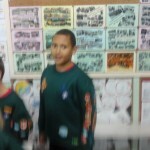 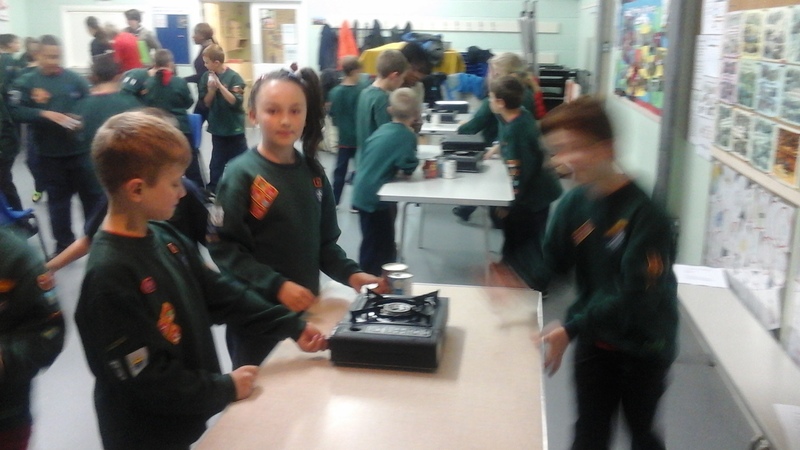 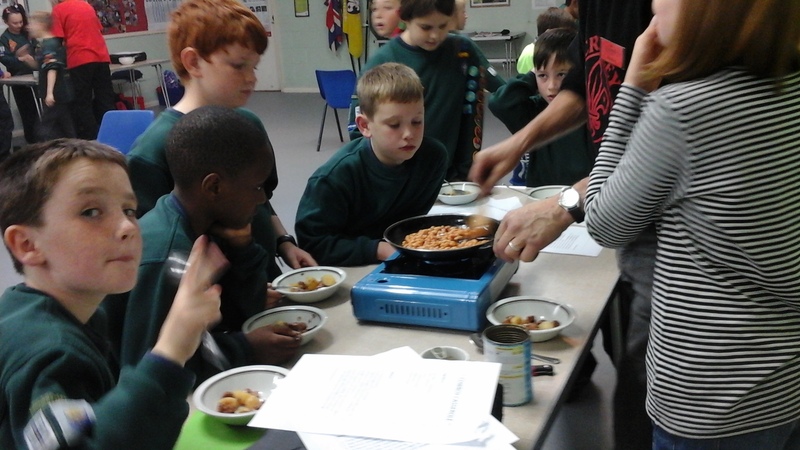 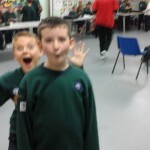 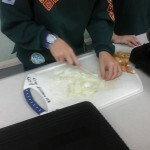 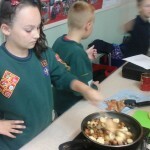 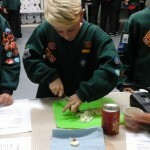 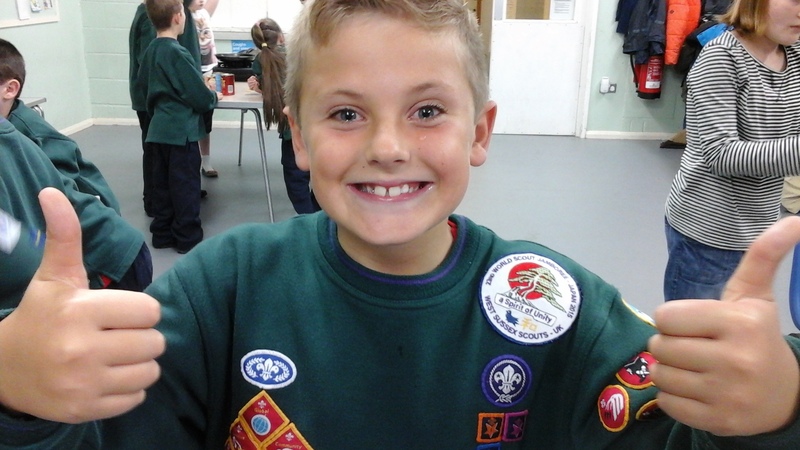 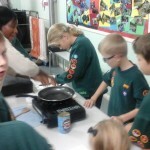 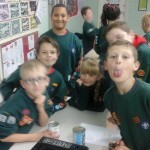 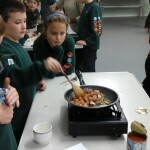 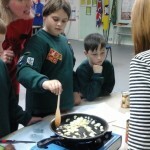 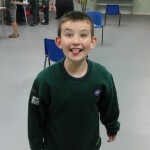 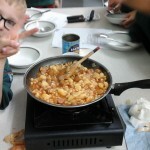 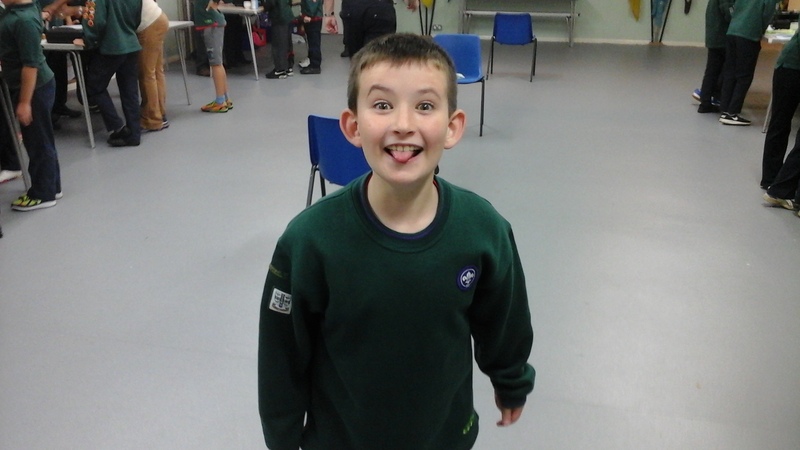 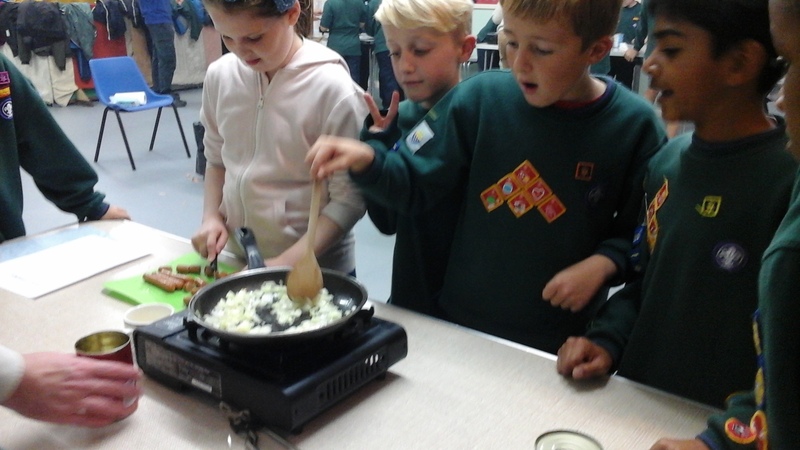 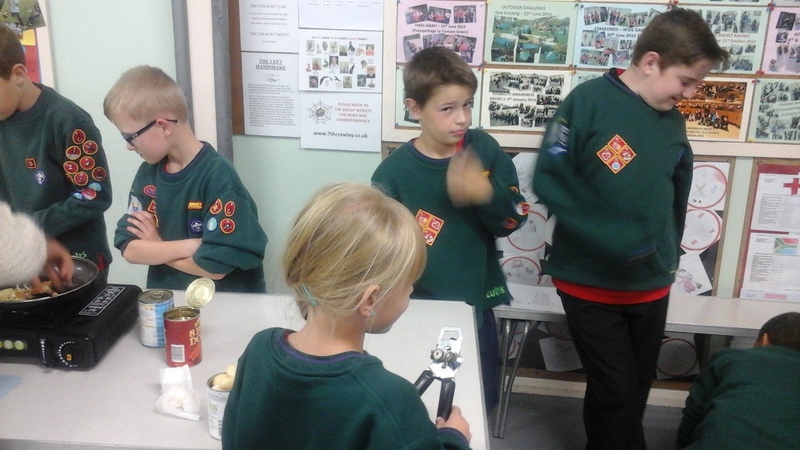 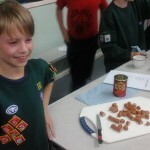 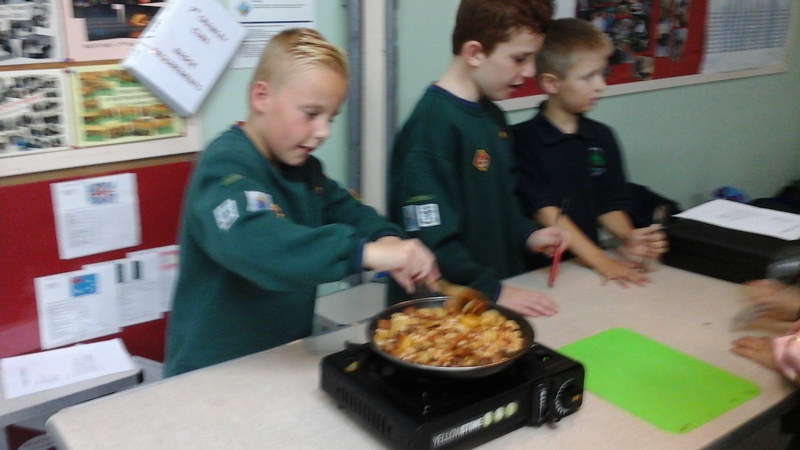 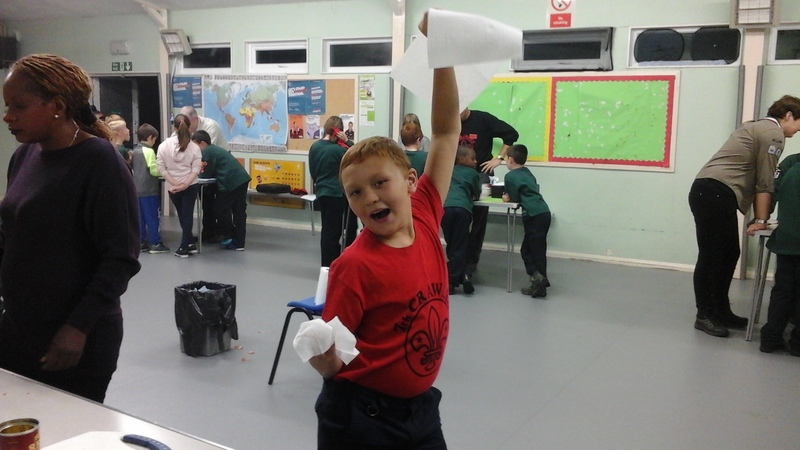 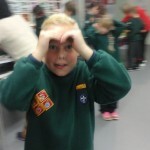 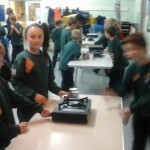 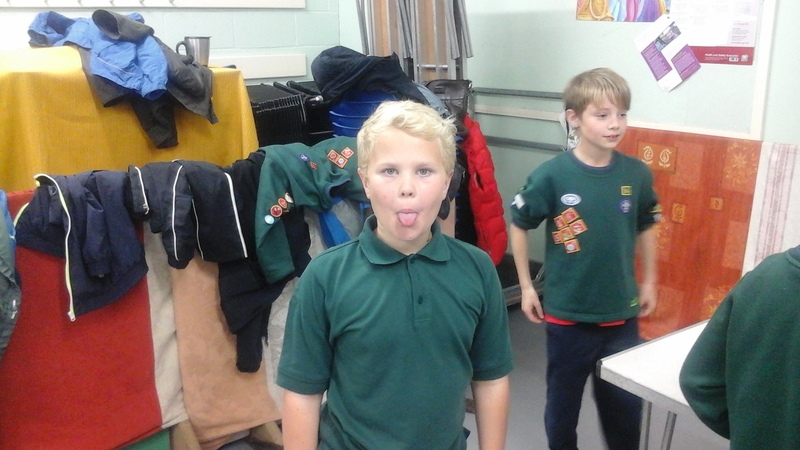 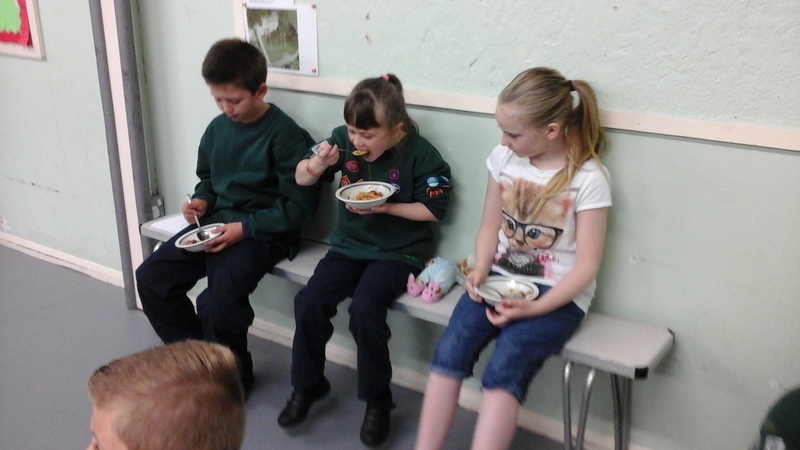 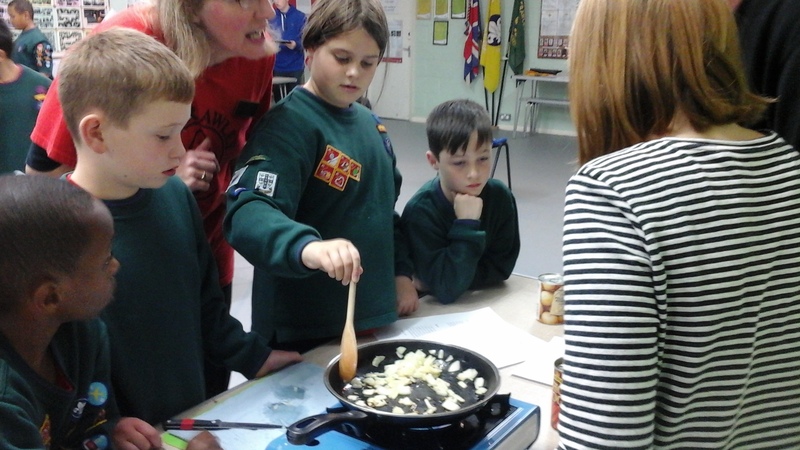 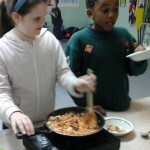 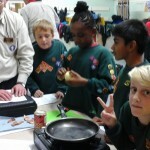 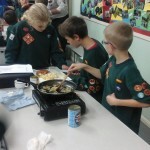 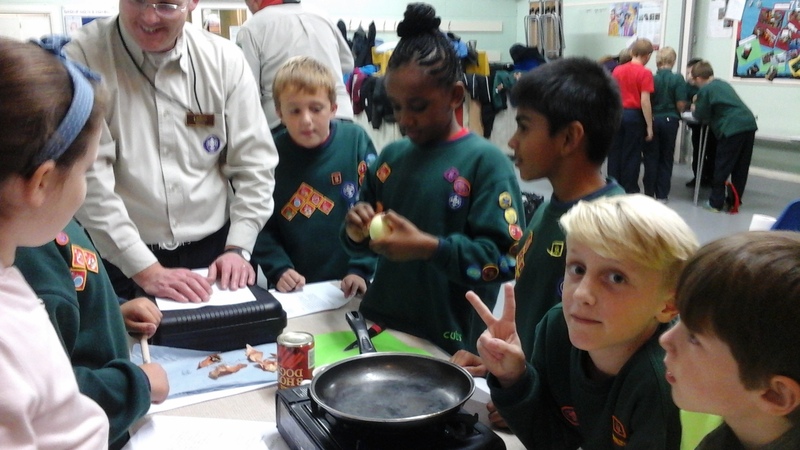 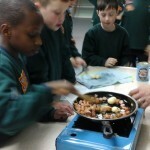 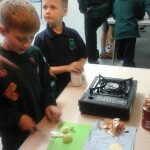 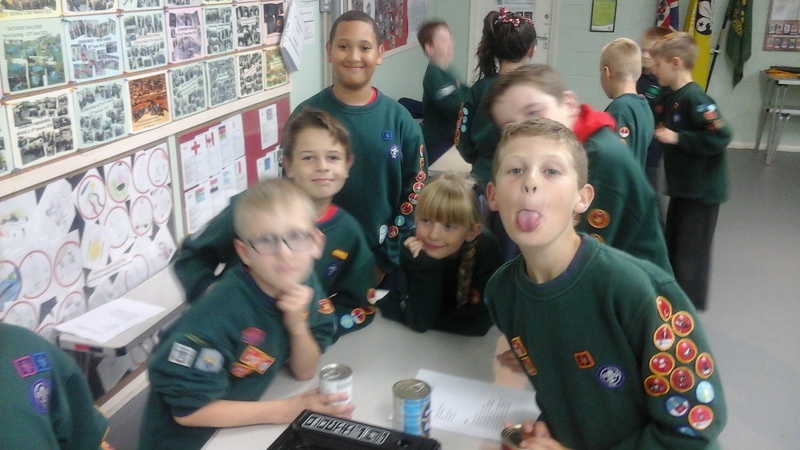 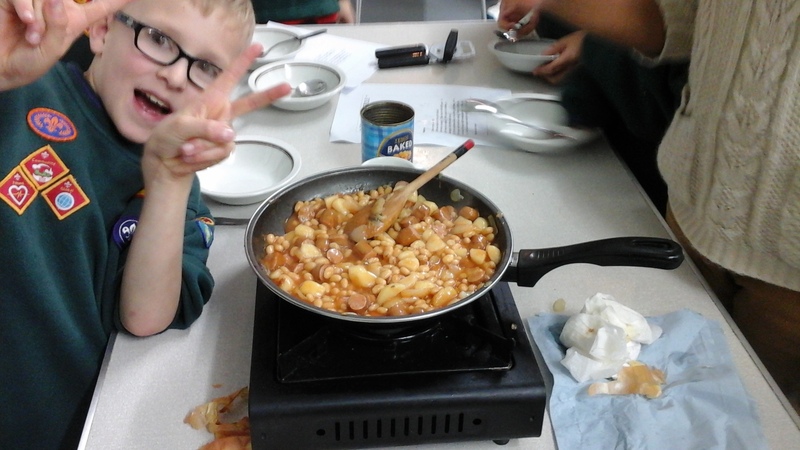 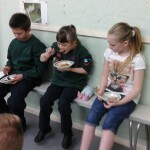 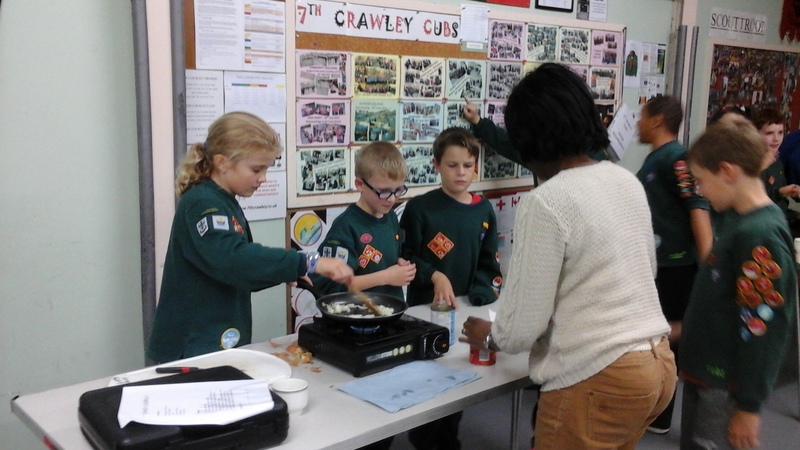 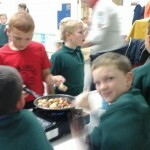 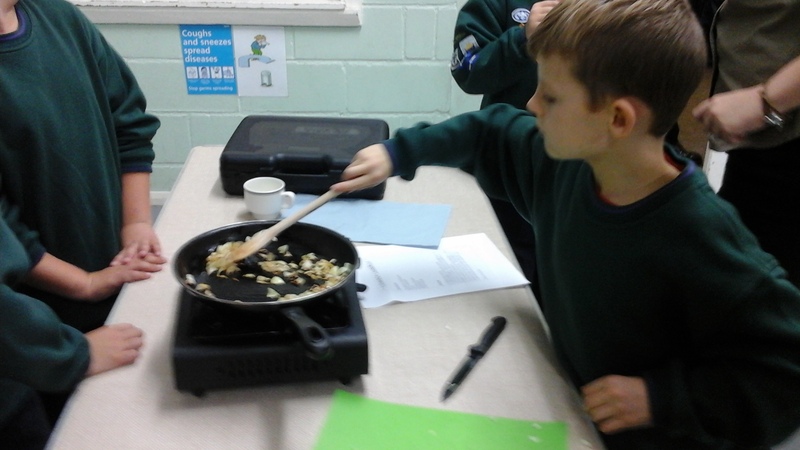 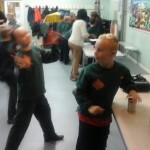 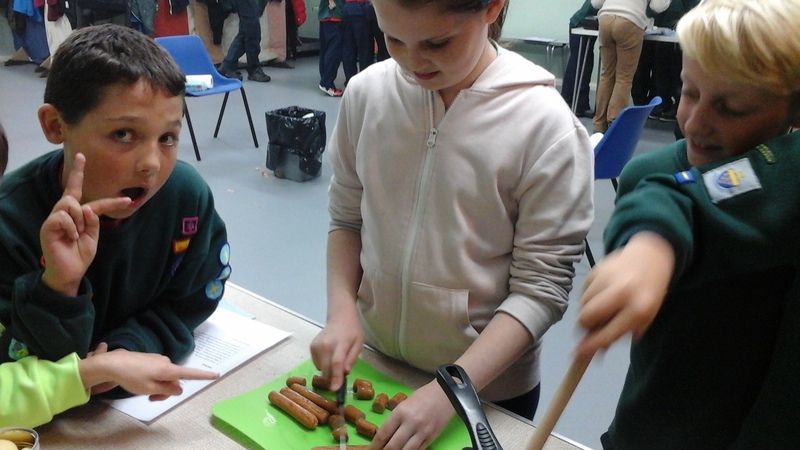 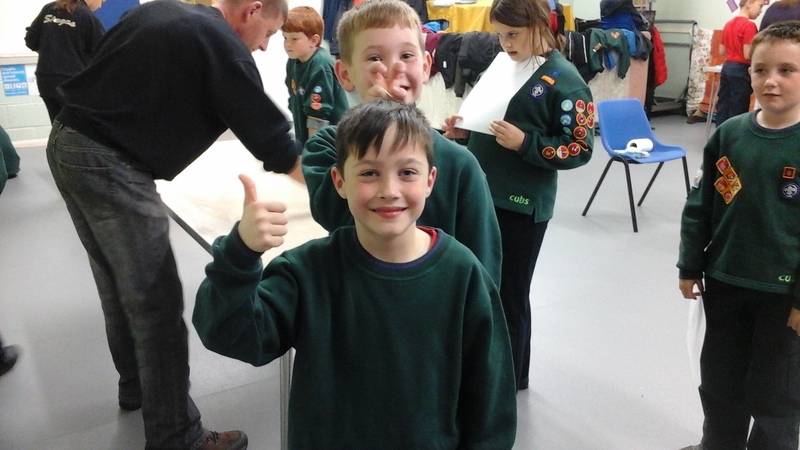 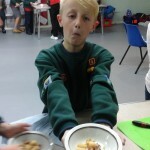 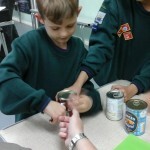 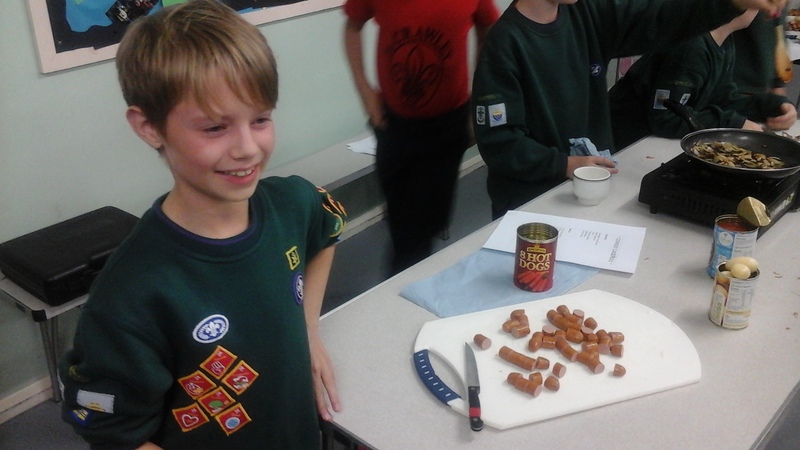 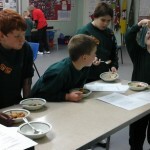 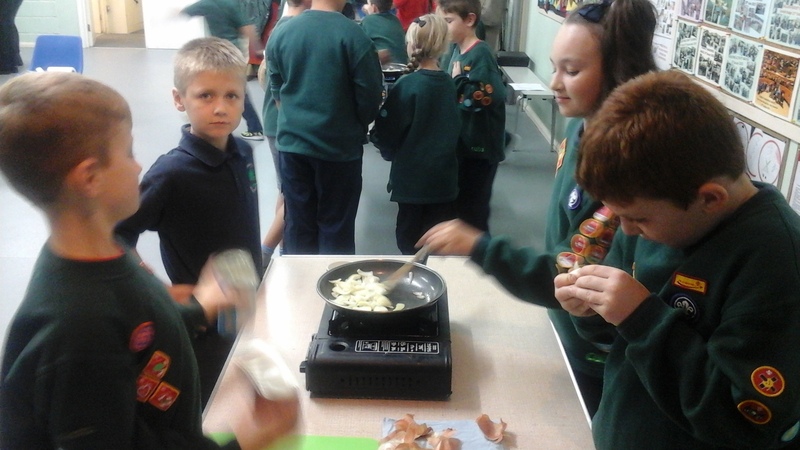 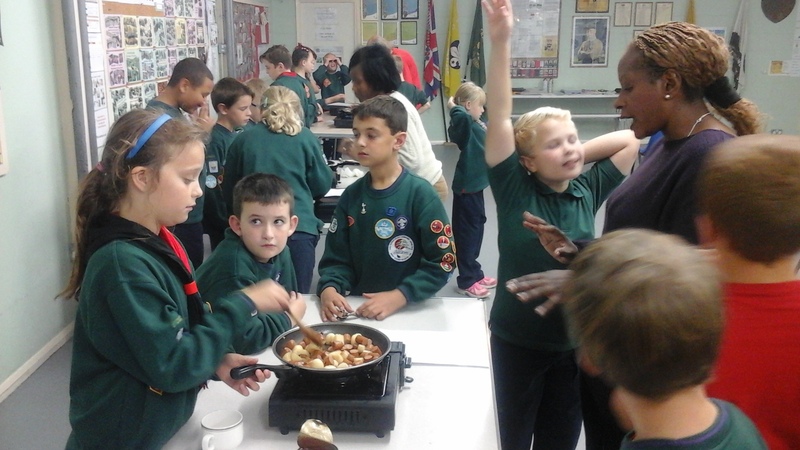 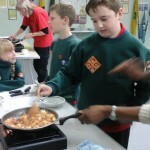 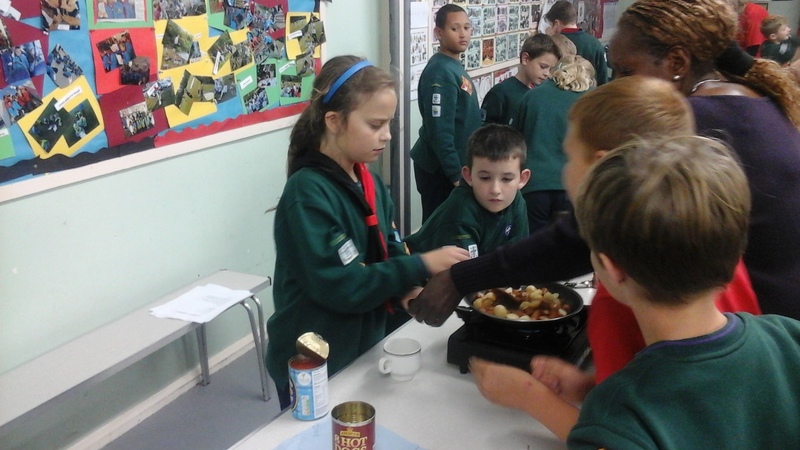 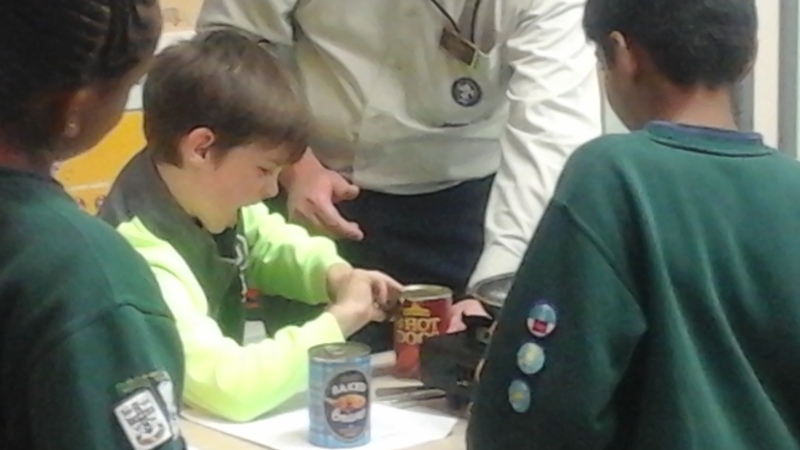 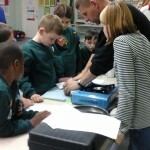 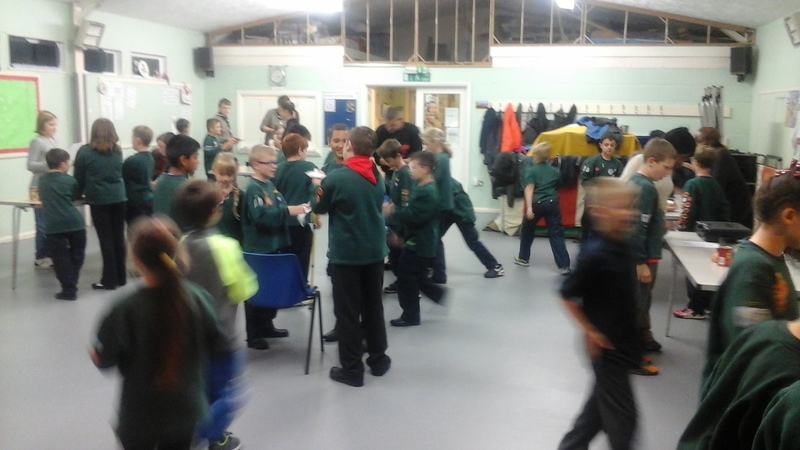 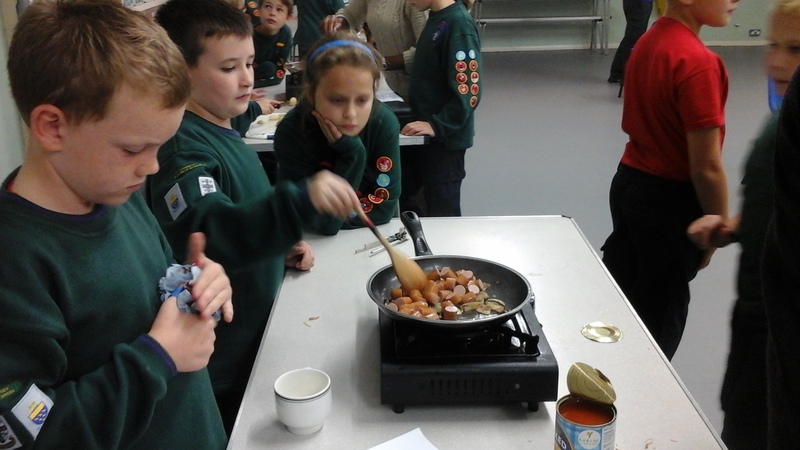 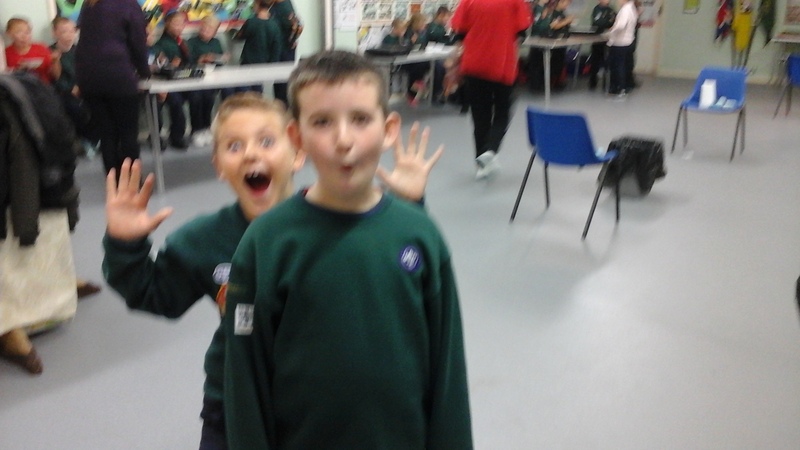 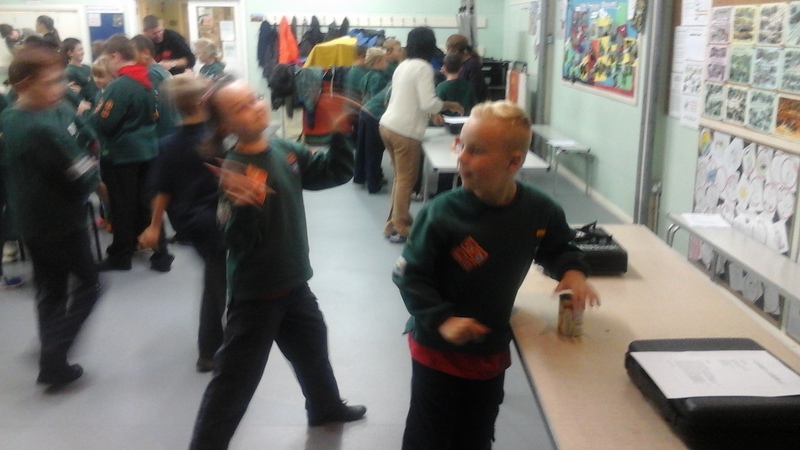 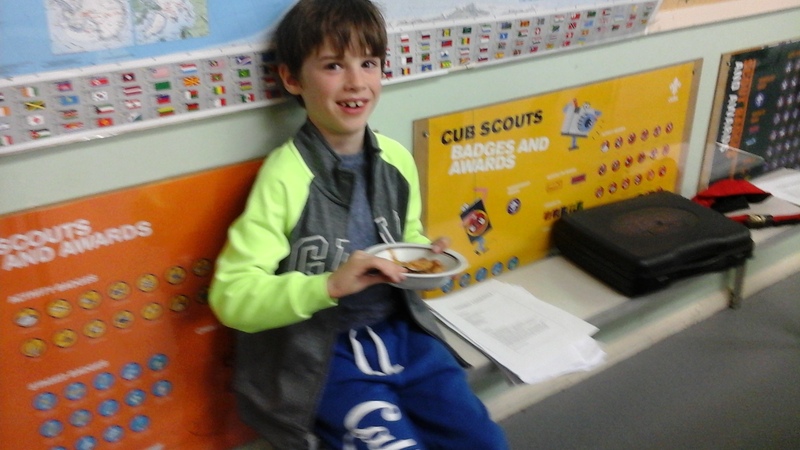 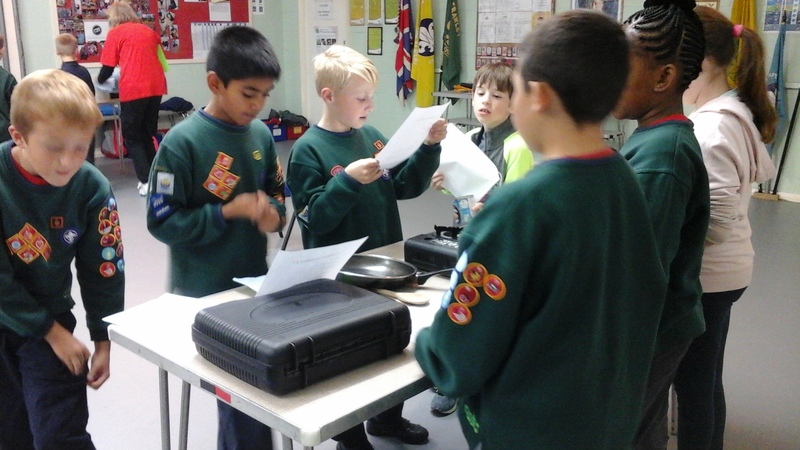 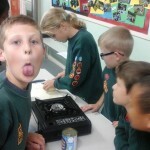 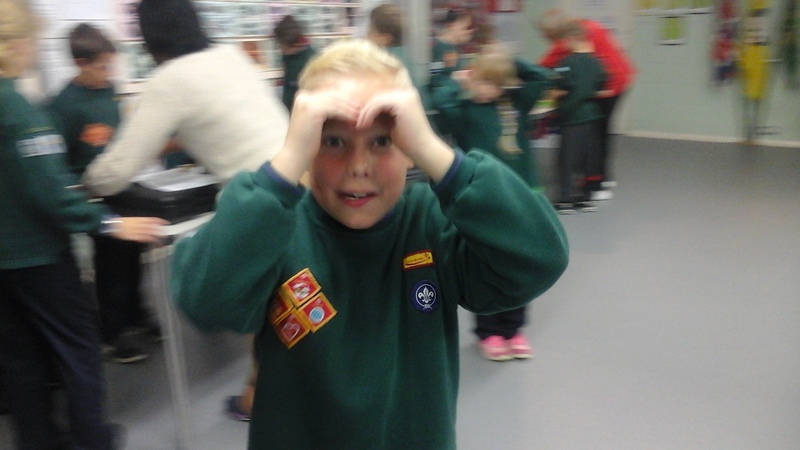 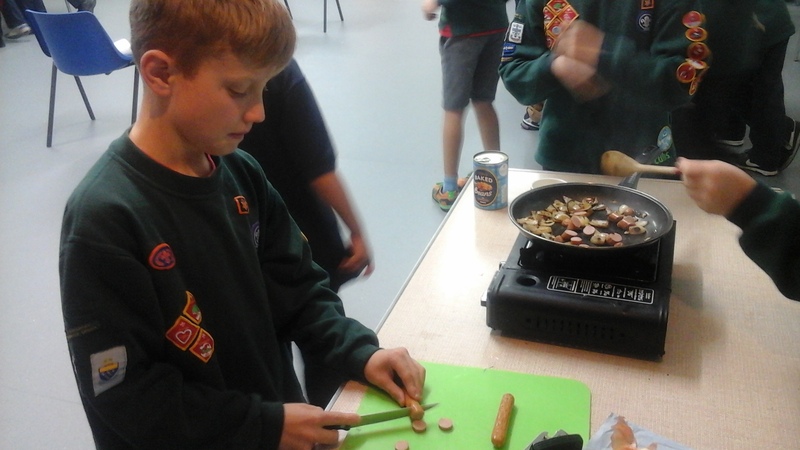 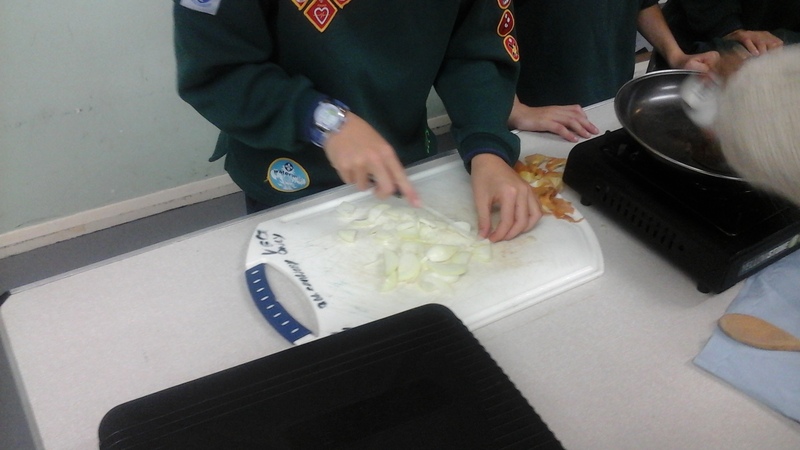 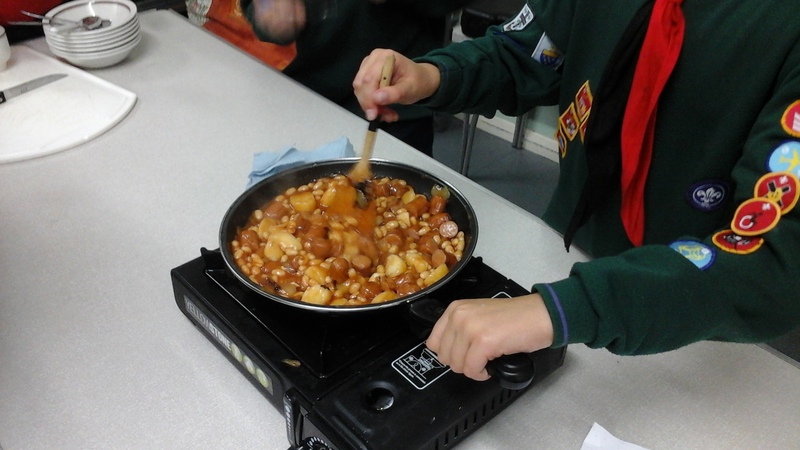 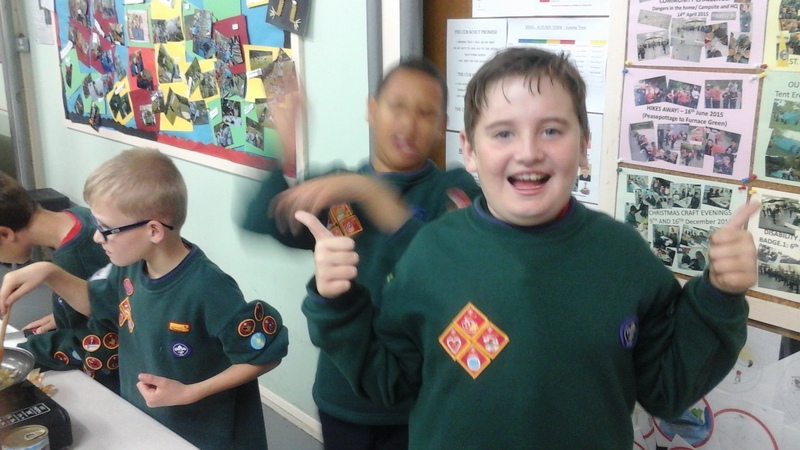 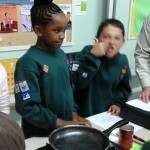 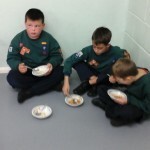 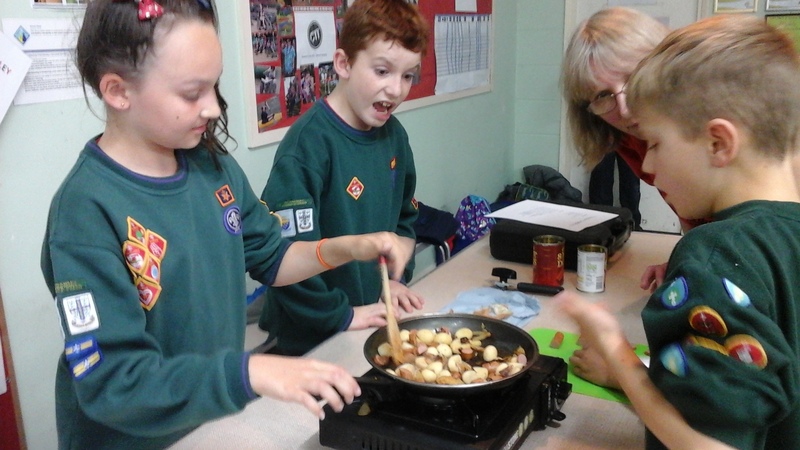 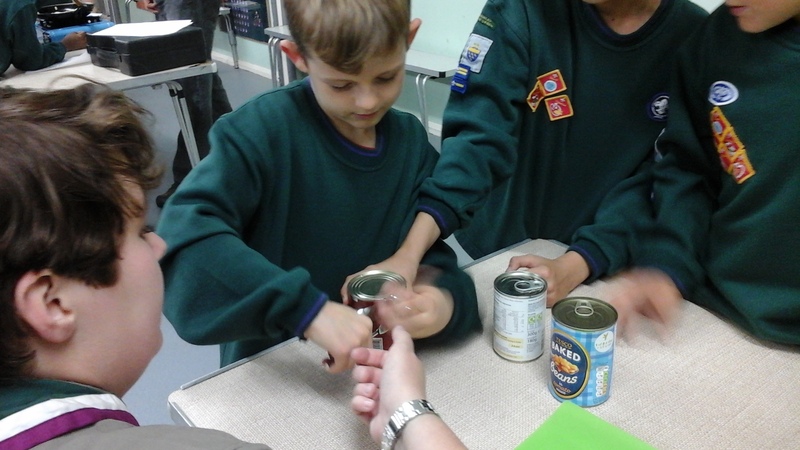 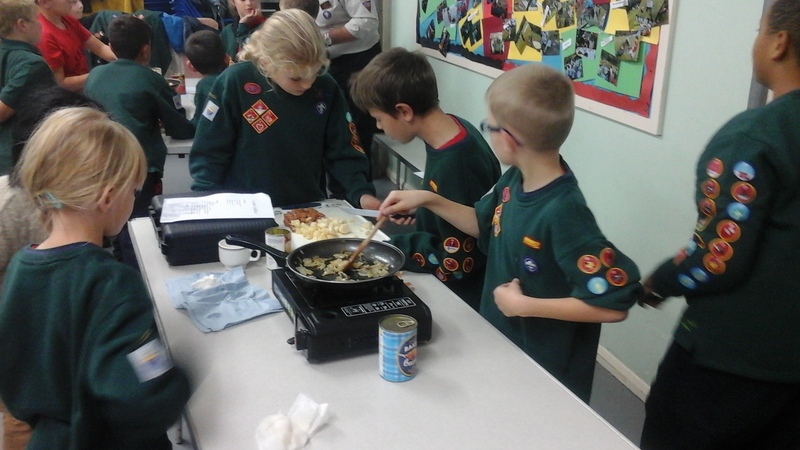 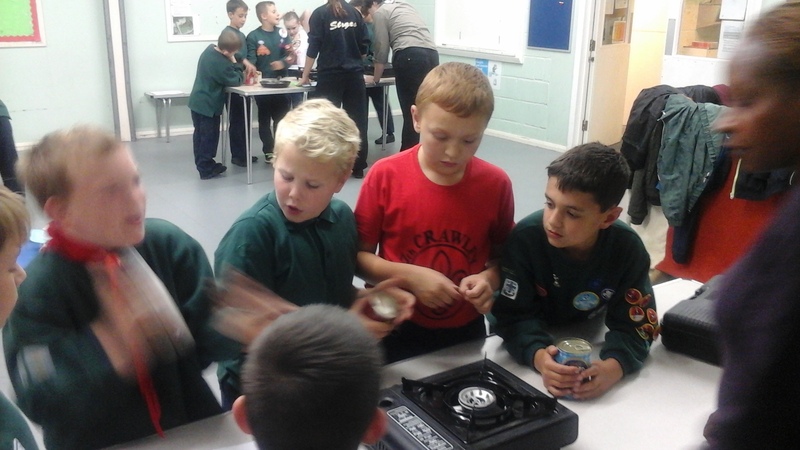 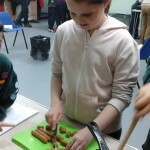 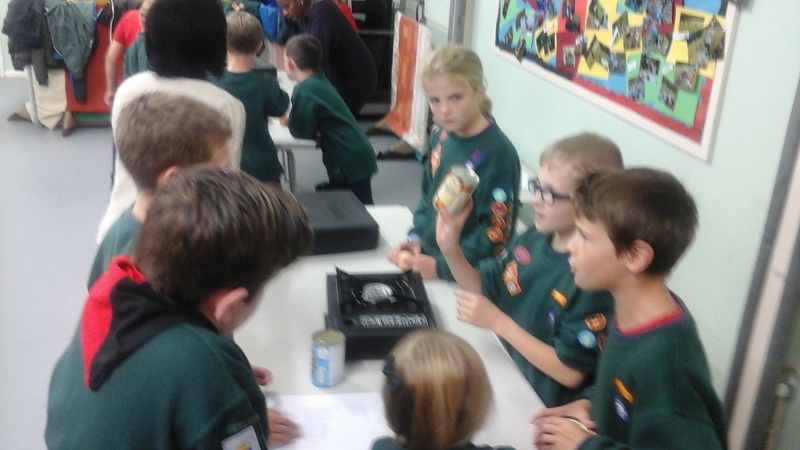 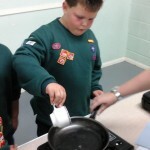 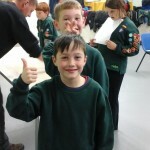 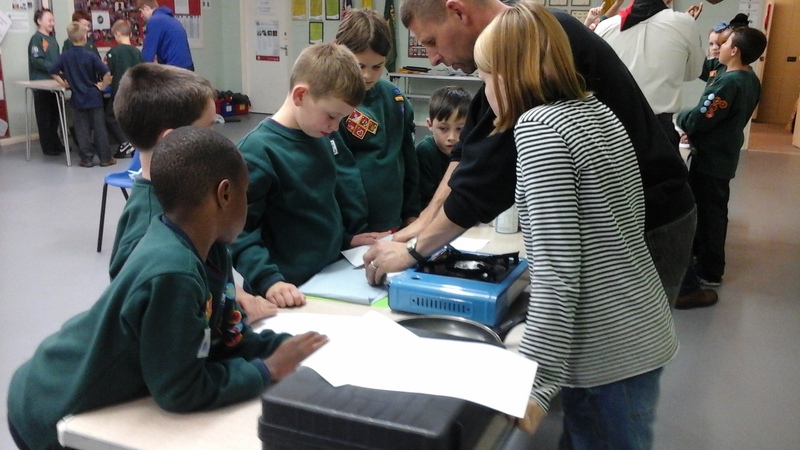 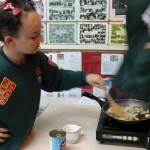 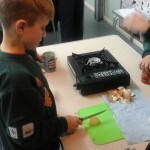 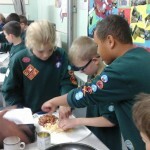 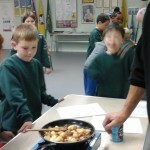 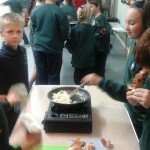 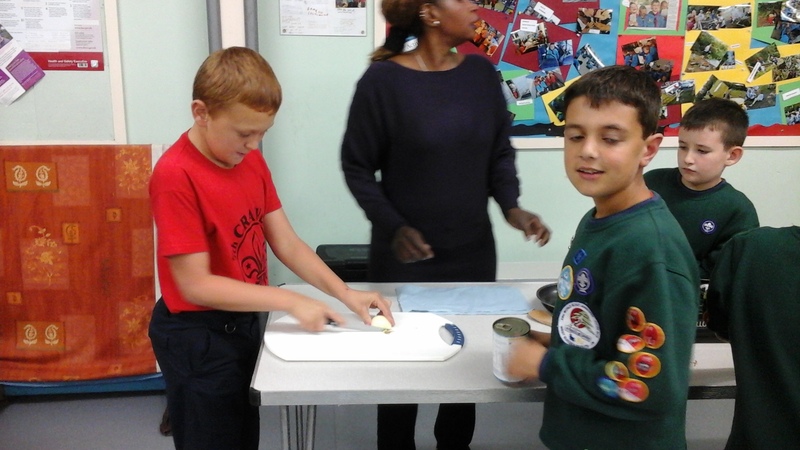 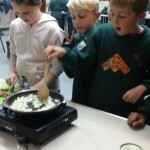 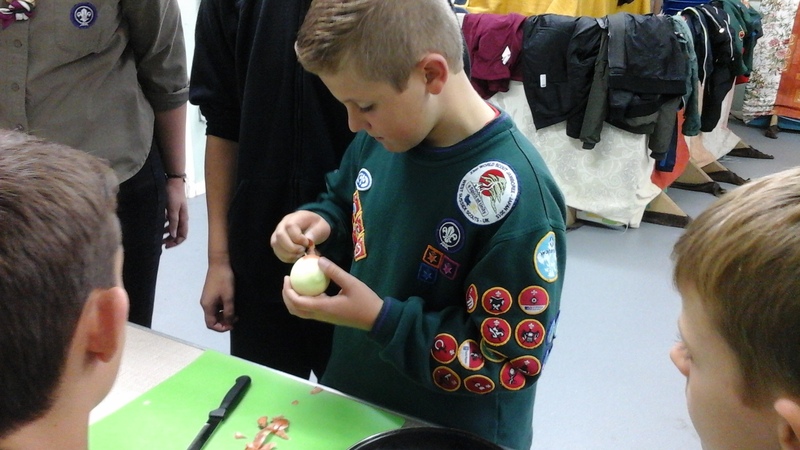 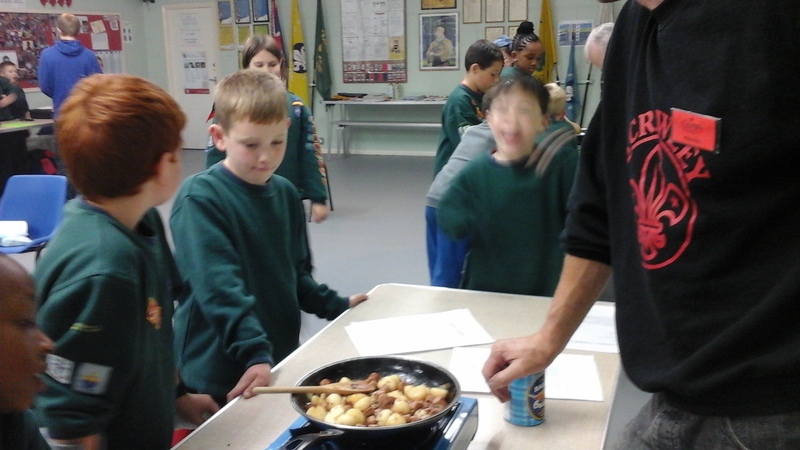 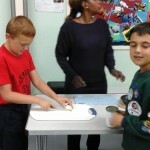 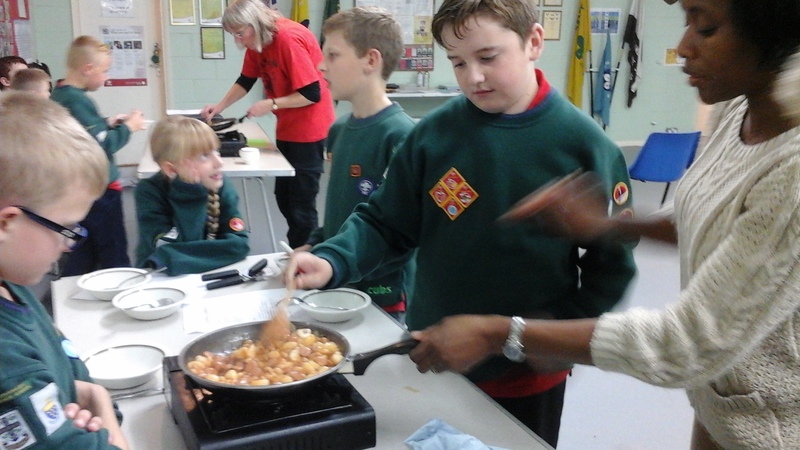 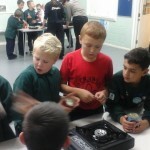 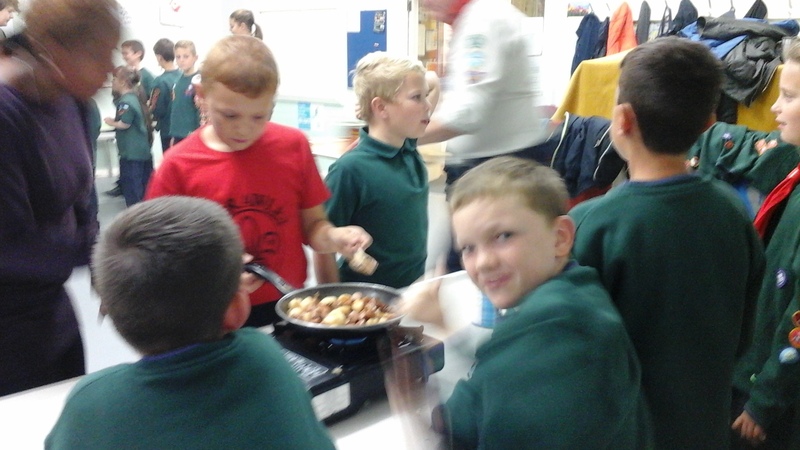 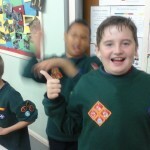 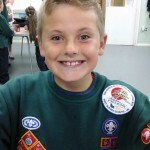 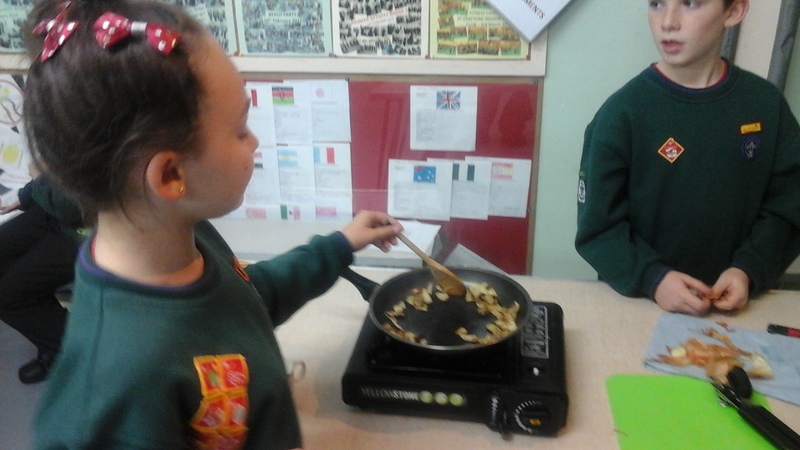 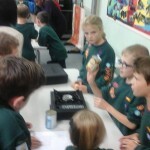 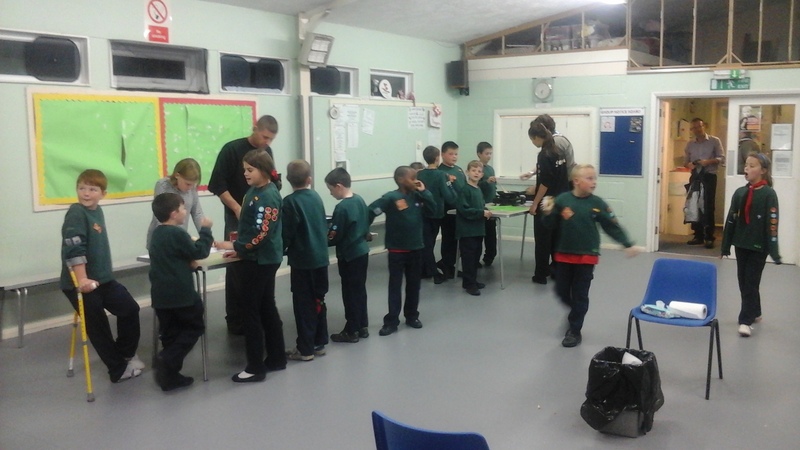 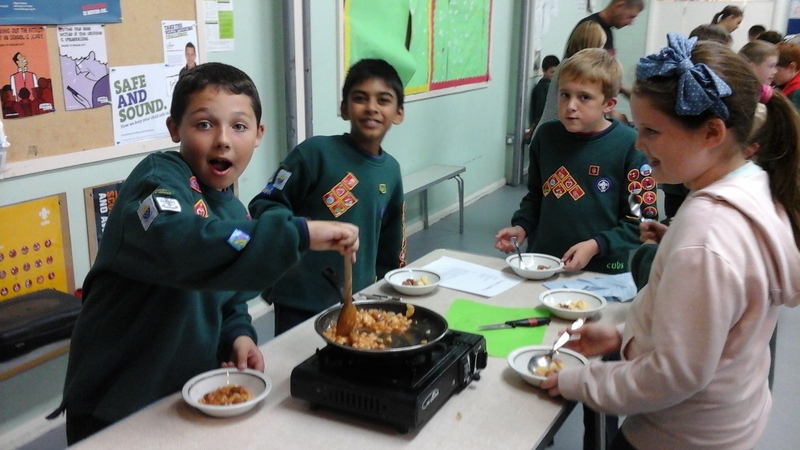 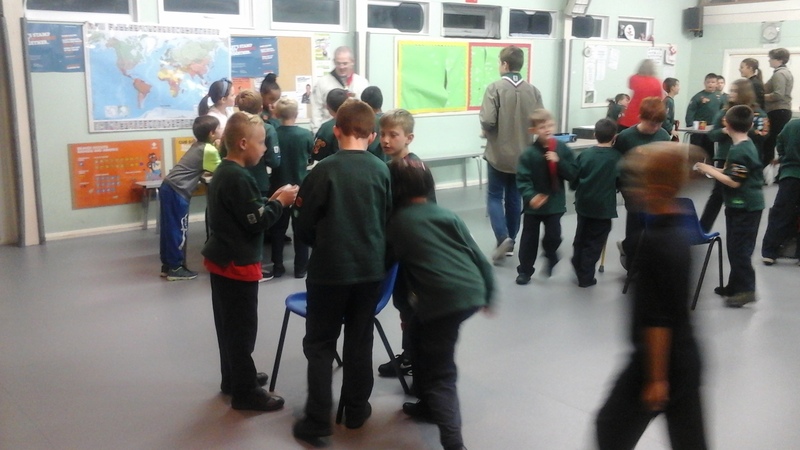 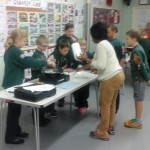 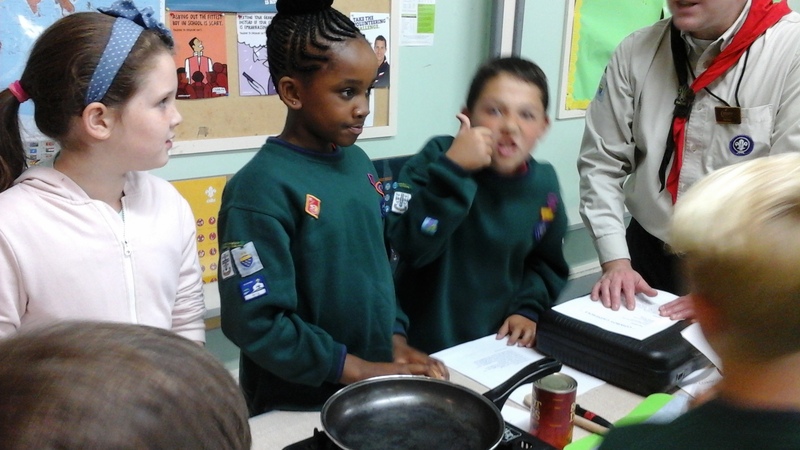 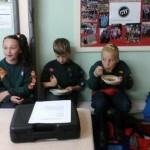 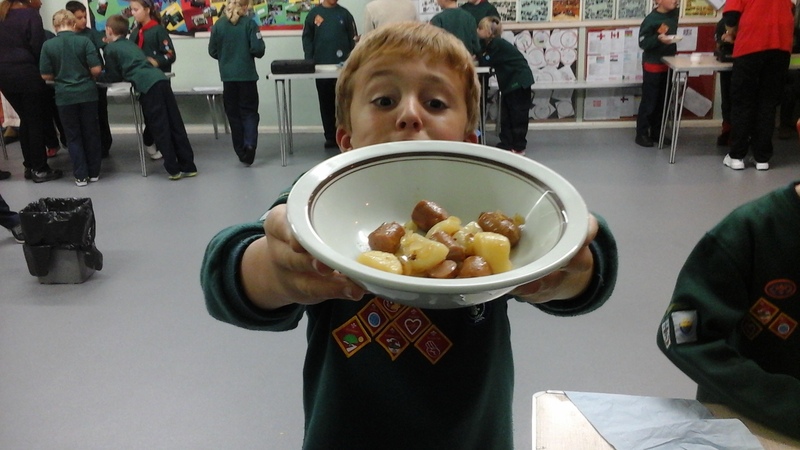 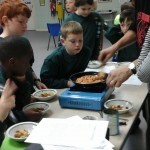 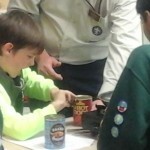 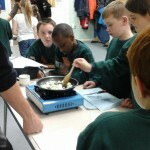 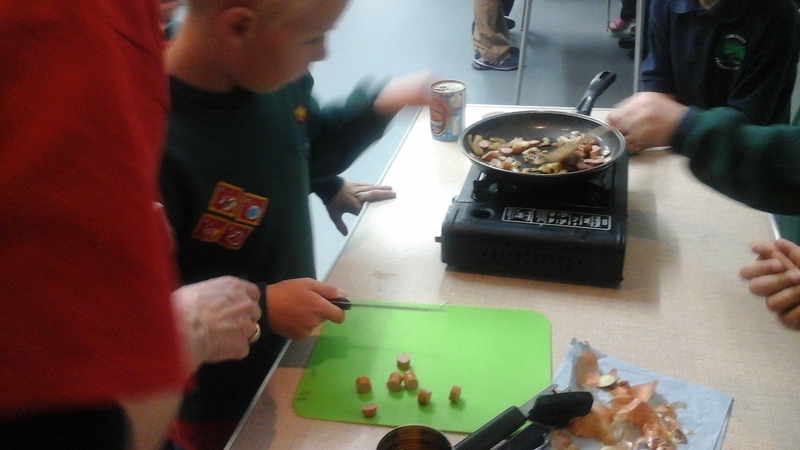 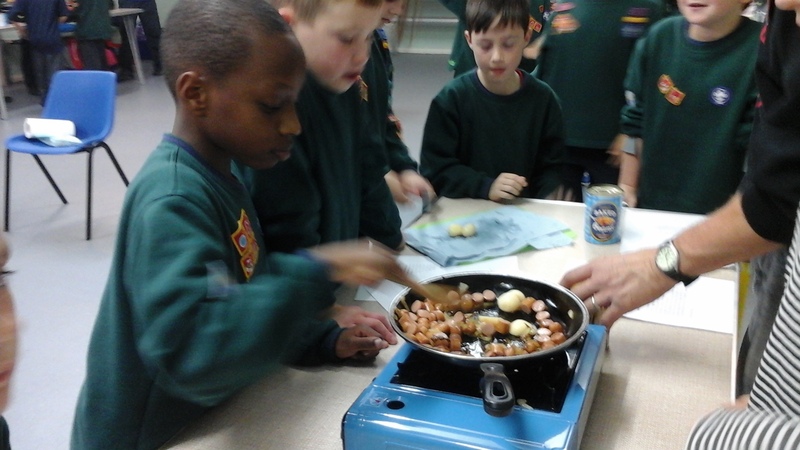 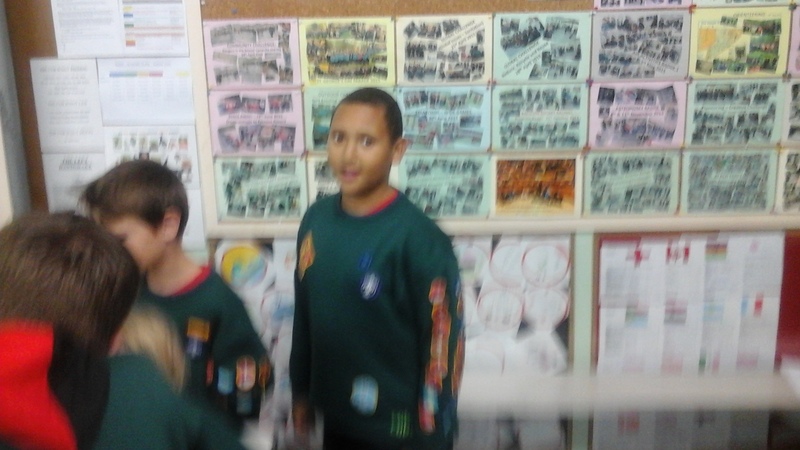 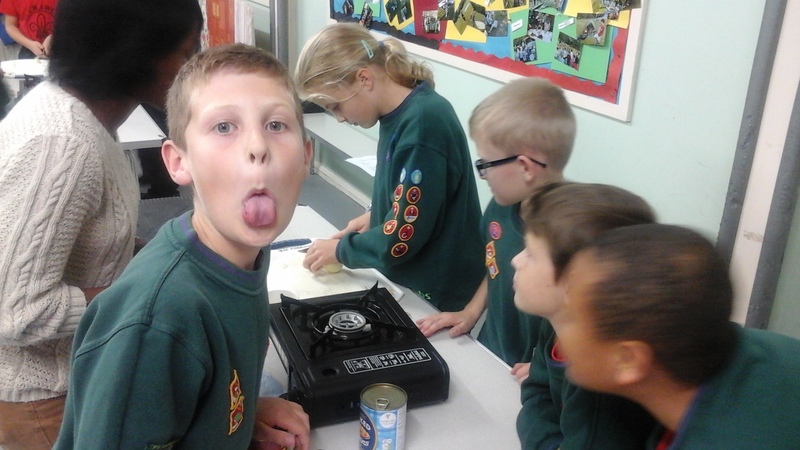 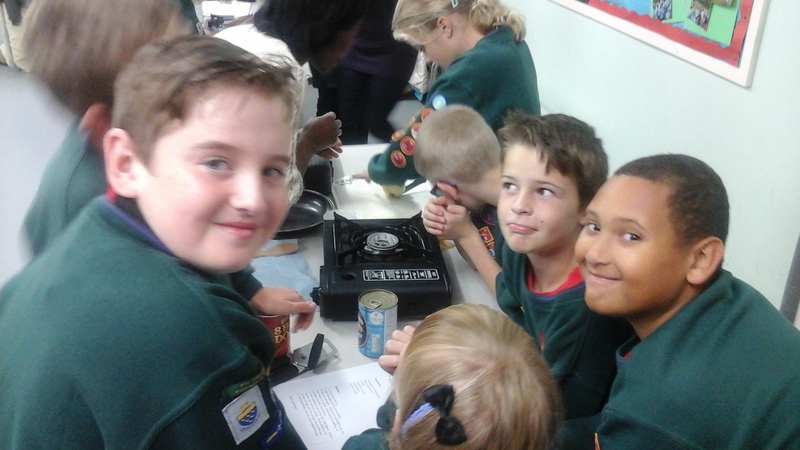 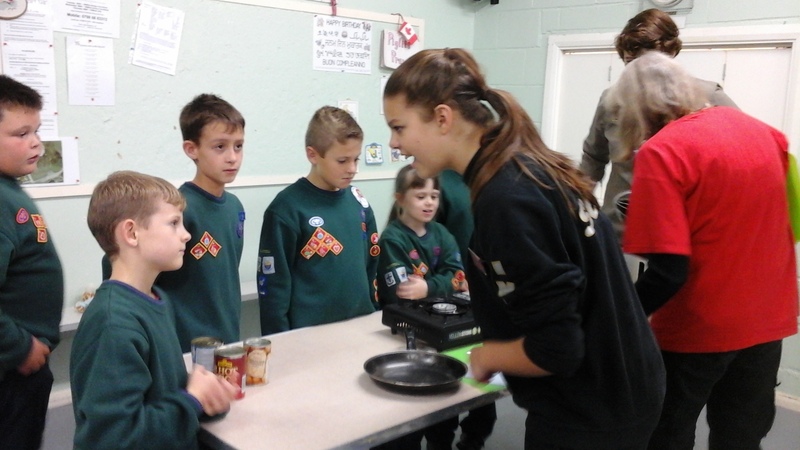 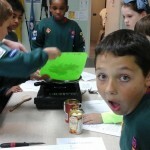 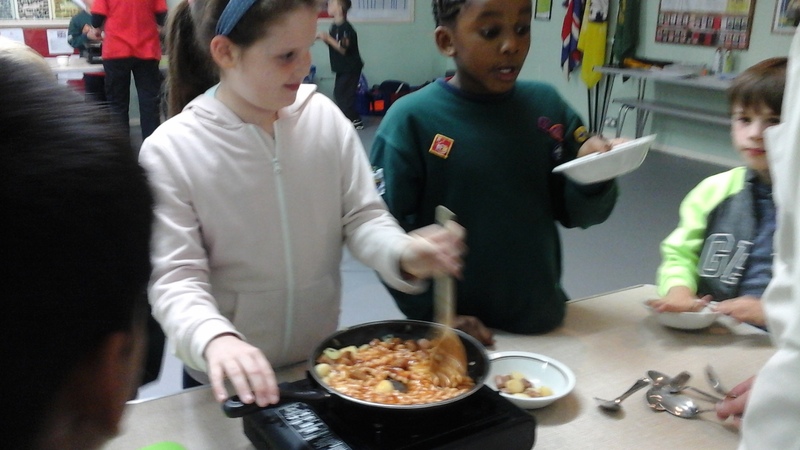 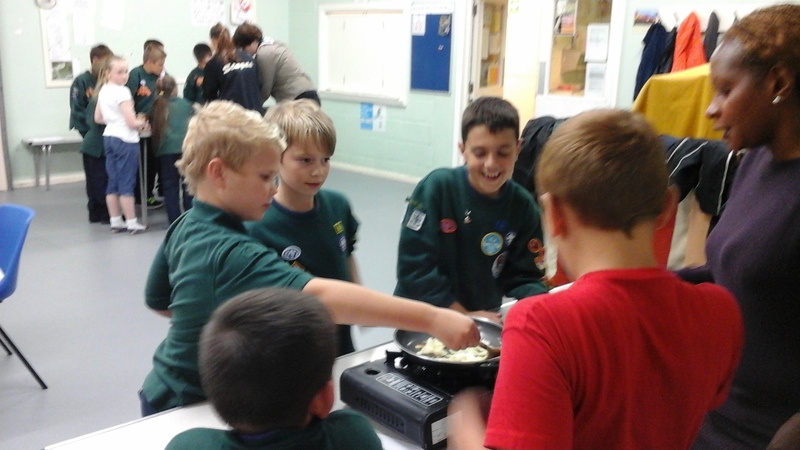 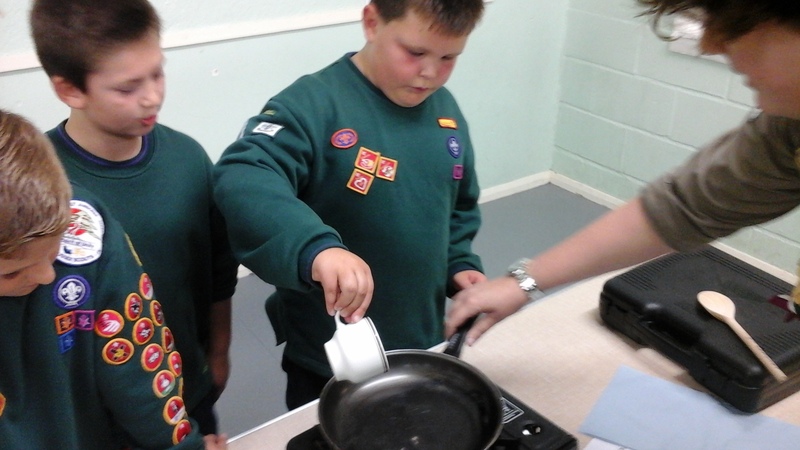 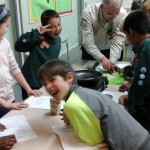 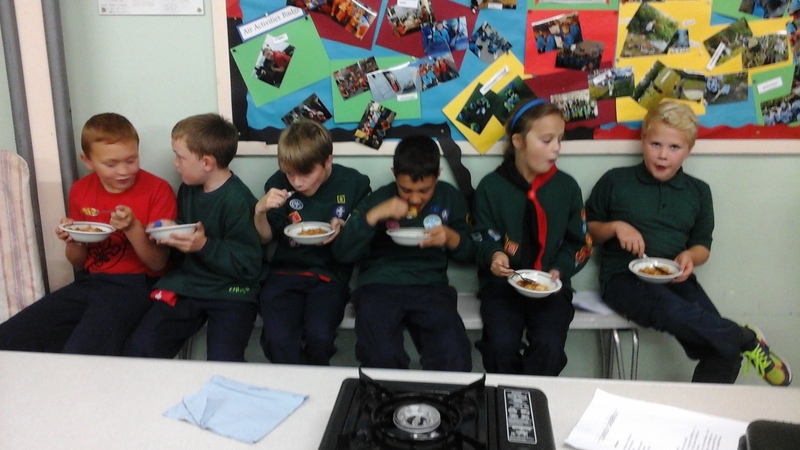 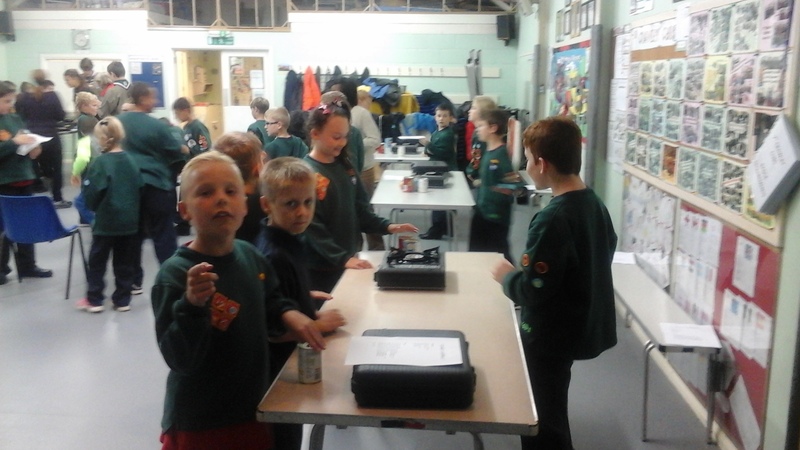 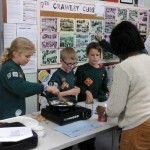 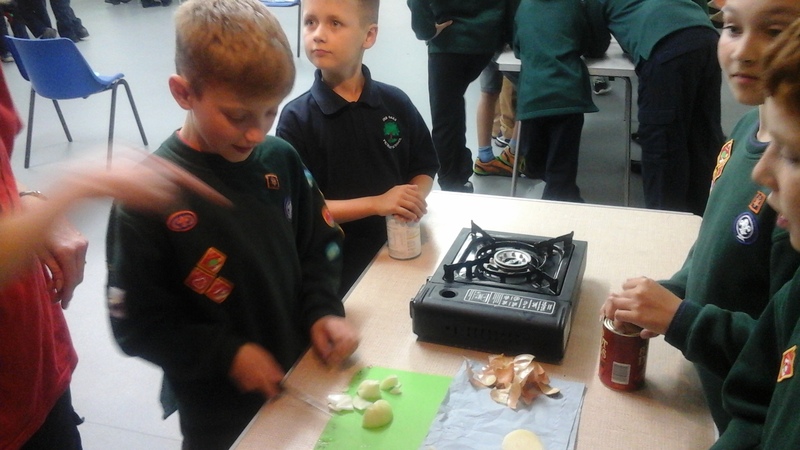 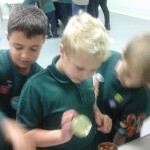 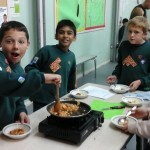 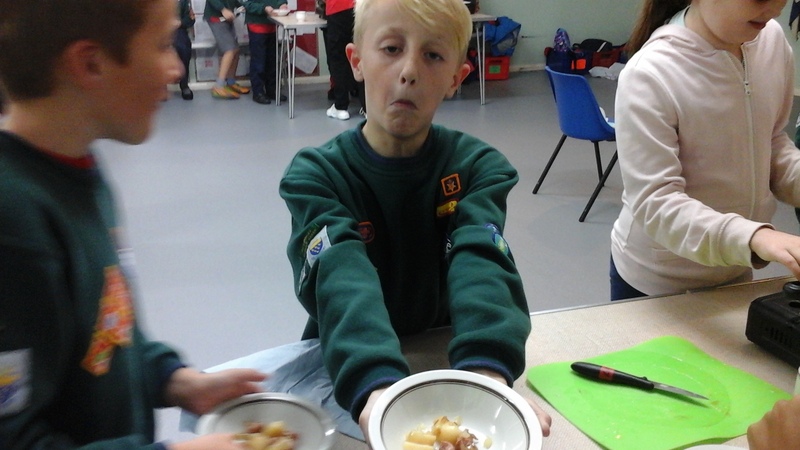 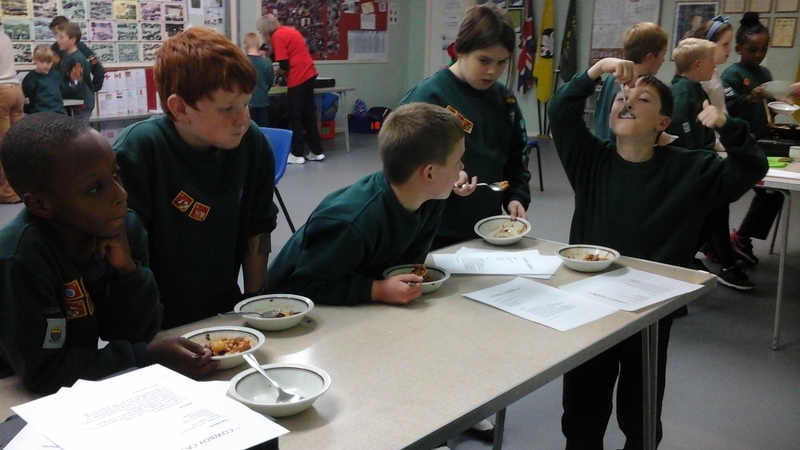 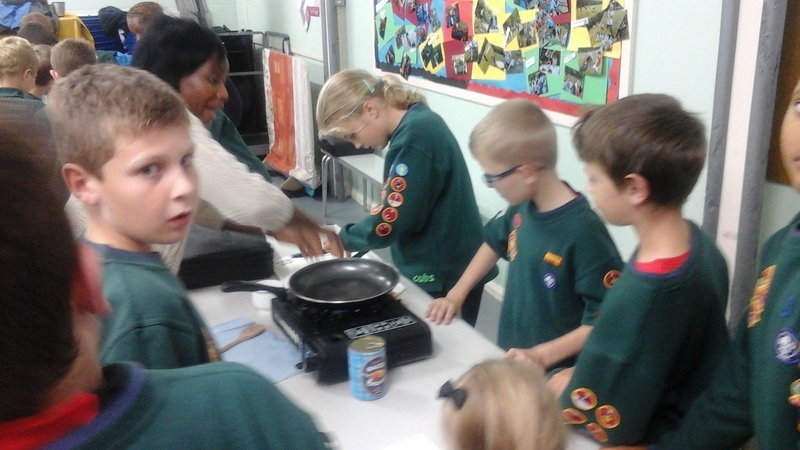 With the words, “Ready, Steady, Cook!” still ringing in their ears, the Cubs started to cook up a storm …………………. 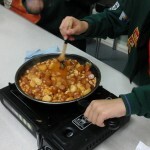 or at least Cowboy casserole! 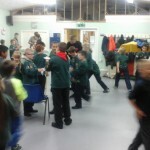 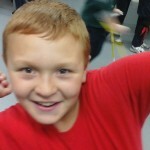 I hope that everyone enjoyed themselves as much as they appeared to. 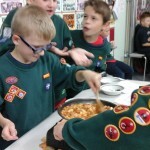 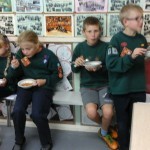 A number of Cubs did mention that they would ask their Mum’s and Dad’s to cook the stew for them at home and so I have attached a copy of the recipe for Cowboy Casserole herewith. 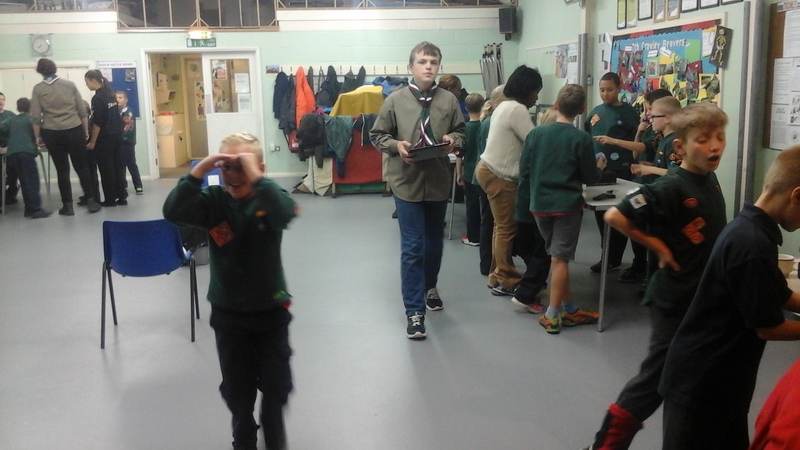 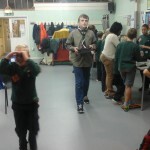 Thank you to the Young Leaders who took on the mantle of “Pack Photographer” tonight using our two new Samsung Tablets generously donated (with other items) by the Gatwick Airport Community Trust (GACT).